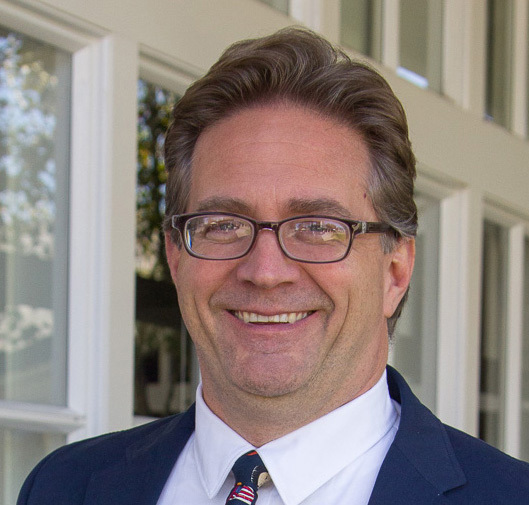 Thoughts on diversity by Head of School, Andrew Davis. The gap extended a good twenty paces. The physical distance between myself – and much of our white professional community – and our black guest facilitator was the physical representation of how differently race and privilege impacts our daily life. The simple exercise towards the tail end of our recent professional development workshop on diversity, equity, and inclusion, evoked strong emotions in me and many of my colleagues. I had entered the day, from a place of believing. I believed that having a diverse and inclusive community is the right thing to do. At that moment, I was feeling that moral imperative. I was living that day in my heart. About a month before that I was in my head, rather than my heart. Early in February I heard a talk titled “The Diversity Bonus” that showed me the mathematical proof that diversity is not just a nice to have, but a must have. Scott Page, a professor of Complex Systems, Political Science, and Economics at the University of Michigan, showed through numerous, data-heavy examples that a diverse group is better at prediction, creativity, and problem solving. The best results require both ability and diversity. Diversity is essential to the work that we want our students to be doing in the years ahead. At the tail end of his talk, Page revealed that having a diverse group is necessary for knowledge economy success, but not sufficient. The group must also be inclusive. In order to realize the “diversity bonus,” a group must be able to hear and value the diverse voices around the table. While we might not be asking our students to solve the most complex problems in grades K-8 – though I have been impressed with the depth of work so many of our students do – we do have the opportunity to help our students develop the skills of being inclusive of all voices. If our students can graduate 8th grade valuing and including the diversity of our community in all of its forms, they will have taken a critical step to being the most successful leaders of the knowledge economy. Throughout this year the professional community – the faculty and staff – has been engaged in diversity work and discussions about race with Dr. Lori Watson from Courageous Conversation. In each session, she has asked us to approach the work of diversity and inclusion from four places: 1) Feeling, what I experienced as we lined up; 2) Believing, my starting point of what is “right” and moral; 3) Thinking, Scott Page’s work; and 4) Acting. It is acting that we plan to do more of at MTS in the future. Building an even more diverse and inclusive community is the right thing to do. It is also what you, our families, as well as our alumni want us to further improve. 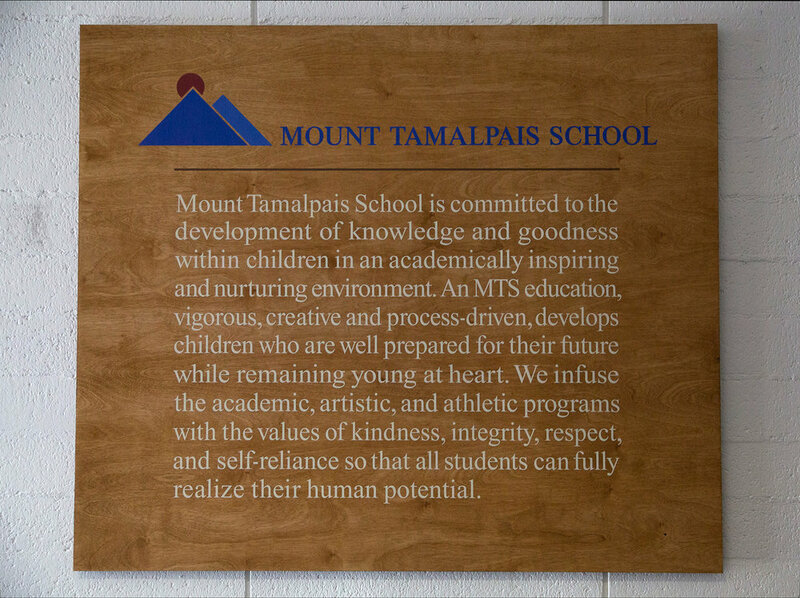 I am excited to be working with the faculty Diversity Committee, as well as the Board of Trustees and parent community, in the months and years ahead to amplify the important – no, critical – work of diversity and inclusion at Mount Tamalpais School. That work will require believing, feeling, thinking, and acting. The work will take time, involve taking risks, and, inevitably have some missteps along the way. Our success will further hinge on good teachers and advisors. This – taking time, taking risks, and looking to good teachers to do challenging and important work – is exactly what we want our students to do. I look forward to doing the work with all of you and building an even stronger Mount Tamalpais School community. From the day my children were born until they were about 11 years old, I would sing them to sleep with Joni Mitchell’s “Circle Game.” This time of year, I am always reminded of that song and the circles we follow in education. Over the next two months, we are preparing for the Class of 2019’s graduation ceremony and at the same time laying the foundation for the start of the 2019-2020 school year. One of the key components to the start of the year for middle school students is their Outdoor Education (ODE) trips. Our ODE program is designed to ease students into outdoor experiences as the students move through the grades. In fact, fourth and fifth graders are in the final weeks of preparation for their trips in early May. The fourth graders will spend a night on the docks living as though it was 1906 San Francisco. The fifth graders will spend two nights in the Marin Headlands exploring the coastal hills and learning how climate, weather and humans influence the area. These two trips lay the foundation for the longer trips middle school students take during the first weeks of school each year. 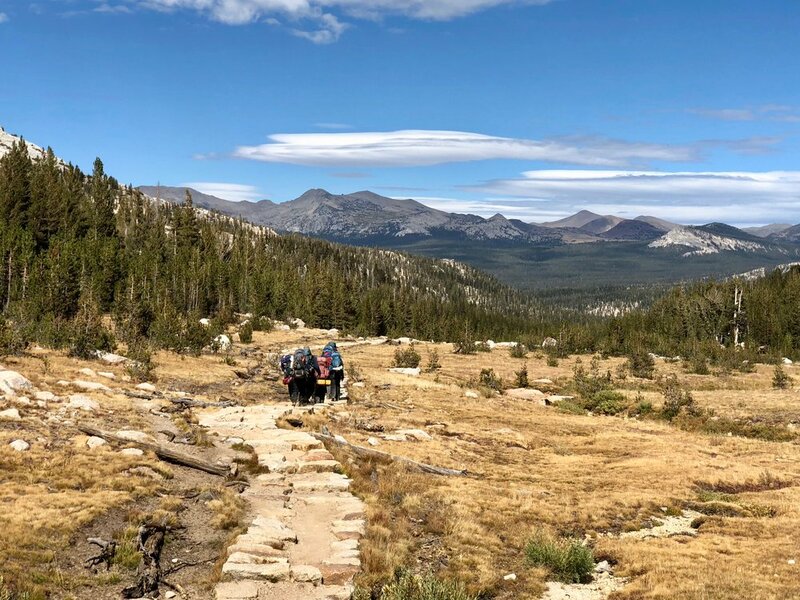 The Middle School ODE program takes students a bit farther afield with sixth graders spending 4 days in Westminster Woods, seventh graders spending 5 days at the Mother Lode River Center on the South Fork of the American River, and the eighth graders spending 6 days in Yosemite, 4 of those days on the backpacking trail focused on summiting some of the highest peaks in the park. These programs are true outdoor education. Students learn not only about the environment they are in and its history, they also learn about the importance of caring for the habitat and the human impact on these areas and beyond. 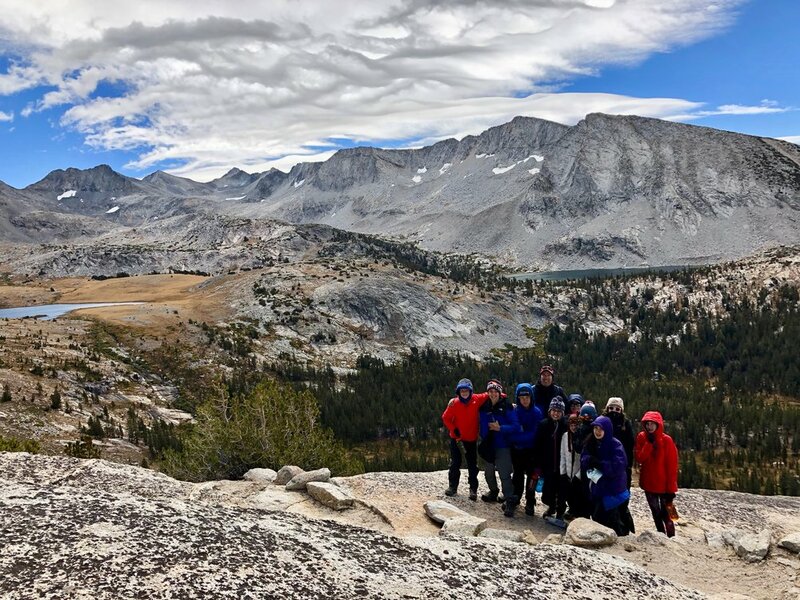 Equally important, students on outdoor ed trips engage in activities that build their independence and self-confidence. 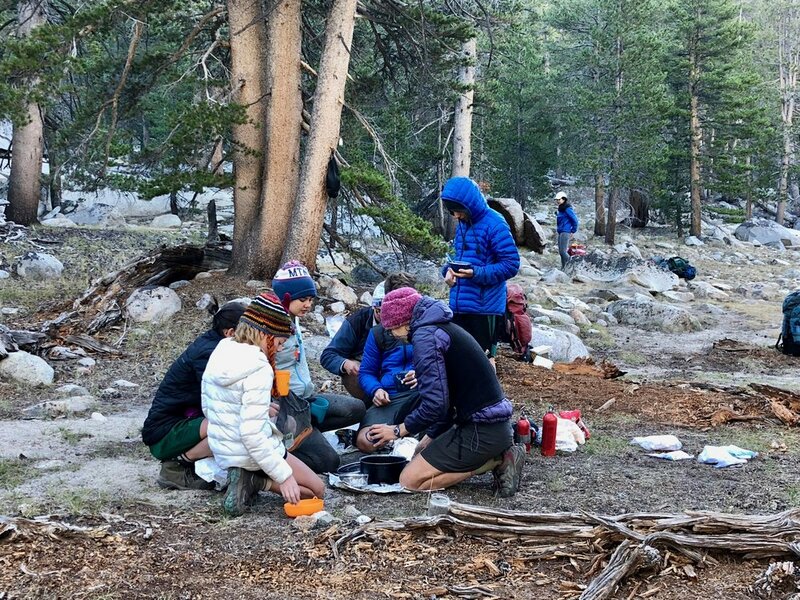 On these trips, students are asked to actively engage in the caring and cleaning of the community they share, to push their perceived physical limits by standing night watch in fourth grade, or on a high ropes course in seventh, or carrying a pack for miles in beautiful and rugged terrain in Yosemite. Each year, I am amazed at the impact these trips have on our students. During advisory/morning meeting last year, I asked the eighth graders what the most significant memory they had experienced this year. The vast majority of them said it was outdoor ed and their trip to Yosemite. This also reflected what many of them said when talking to admissions tours during the winter months. These experiences help weave the fabric that supports a class as it moves through the circles at MTS. They create opportunities for students to dive deep into an experience with classmates and teachers, make new friendships, and learn how to trust and rely on themselves and each other during physical and mental challenges. 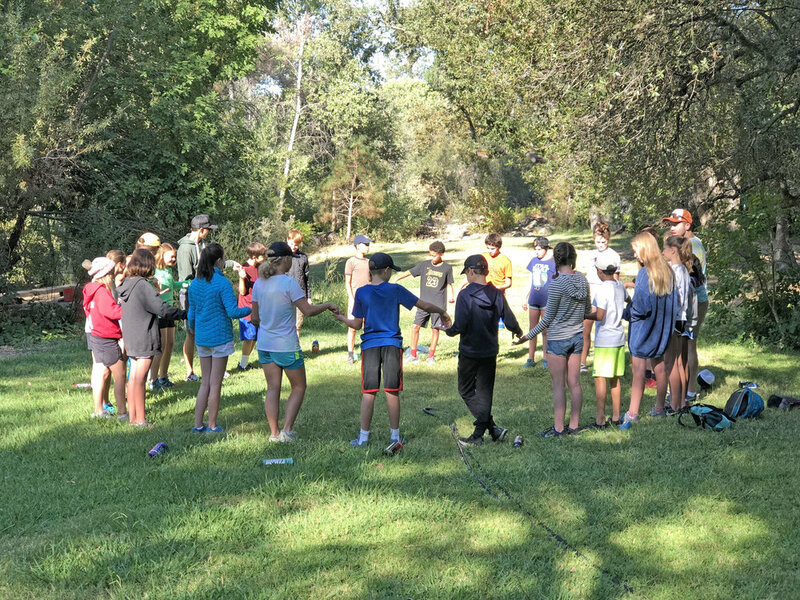 The inspiration and bonds the students find in these outdoor education experiences can last a lifetime, and the program continues to be an important, foundational strength of the Mount Tamalpais School curriculum and culture. As a school we are lucky to have two New Years. In late August, our faculty return to campus, ready to think big about the year and years ahead – late August is New Years for educators. Then, in January, as 2018 becomes 2019, we all have a chance to start anew again. At MTS, we seized on the “new year” energy on the morning of Monday, January 7. After sharing stories of Winter Break, we dove into the generative work of defining what we mean by “tradition” and “tomorrow” in our “Where Tradition Meets Tomorrow” tagline. Tradition, we saw, has two components. The first is related to what we teach and how we teach it. Here, tradition refers to the subject matter, methods, and materials that have proven to be effective, necessary, and engaging through time. These are the enduring elements central to the “I was incredibly well prepared” sentiment widely shared among our alumni. Traditional curriculum focuses on math facts, phonics, and the periodic table of elements, for example. Tradition includes skills such as studying for a content-heavy test, outlining an essay, and effectively using a paper planner. Often, but not always, these elements of “tradition” are more teacher-directed and analog rather than digital. These elements of tradition endure – they often remind me of the most effective and useful elements of my own education. A firm grasp of these elements of “tradition” was also clearly needed for success when I recently visited a number of high schools to which our students matriculate. Tradition also refers to elements central to the MTS culture. Through Teddy Bear Day we signal our value of youth and childhood. With our uniform, we ask students to look beyond the brand names to the person and mind wearing the clothes. By asking every fourth and fifth grade student to participate in the Winter Play, we continue the traditional value of stage presence and confidence. And, in countless interactions throughout the year, we value “please” and “thank you.” Our oldest students and our alumni – articulate, confident, and kind – embody the end result of that “traditional” culture. Reflecting on “tomorrow” our teachers regularly turned to the words collaboration, choice, and creativity. We see these as the skills that our students will need in high school and college, and to an even greater extent in the work world that awaits them in the years 2030 and beyond. When engaged in the work of “tomorrow” we see authentic performances of understanding – engineers making a solution to a problem, historians doing the work of archeologists. While tradition helps students converge on a set of skills, content, and values, tomorrow encourages students to diverge as they explore, create, and test. In this quest for authenticity and divergence that prepares students for jobs yet to be created, technology more often plays an important role. Nancy Tracy leading students in activities during Greek Day. In describing tradition and tomorrow, it is tempting to view them as a dichotomy – a class can only be one or the other. At MTS, though, tradition and tomorrow often intersect throughout a day or within a single course. Yes, students learn to outline a dense packet of information in history class – tradition. They also learn to work in a group to create an argument for remaining loyal to King George III in a heated group-based debate – tomorrow. 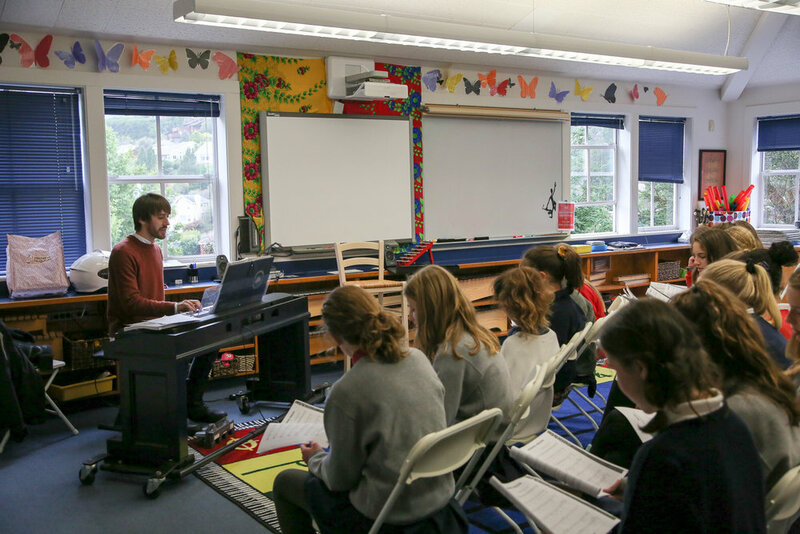 At Mount Tamalpais School, we are both tradition and tomorrow. In living this balance, we are preparing our students for their next academic steps and for their far more undefined future. We are also engaged in the important work of ensuring that our program continues to evolve, striking the right balance between tradition and tomorrow for the years to come. It would be easy to just be tradition or just be tomorrow. A great education combines both, something we will always seek to achieve. What are you up to? What do you most like about your current job? I moved to New York City after college and have built my career working in fashion communications and public relations in-house and at agencies. My experience has varied from social media and influencer marketing to traditional and digital PR and events for brands ranging from J.Crew to Farfetch to Victoria's Secret. I recently joined the team at Communité, a new strategic communications agency with a tailored approach to marketing and communications. I love that every day at my job is different! The agency environment always keeps you on your toes since you're working for multiple clients. What is one thing you’ve done that you never expected to do? Mattel is one of my clients, and we've been working together on the @BarbieStyle Instagram account together for about four years. I wouldn't believe you if you told me that I would be traveling the world producing content and partnerships for Barbie! It's been such a dream working on an iconic brand. We are almost at 2 million followers, so make sure you check it out! Best part about attending Mount Tamalpais School? Advice for the graduating MTS eighth grade class of 2019? Work hard, but don't forget to have fun! If you could go anywhere in the world all expenses paid, where would you go? I'd love to go to Argentina and then to Uruguay to check out the beach scene in Jose Ignacio. I’m in my second year of graduate school at the University of Oregon studying Community and Regional Planning. In addition to getting my masters at UO, I came to compete on the Oregon cross country and track teams. Though I exhausted my NCAA eligibility with the Ducks in 2018, I am still training with the team and compete as an unattached runner in many of the same races as the Duck athletes. I would have never expected to find myself competing as an Oregon Duck in track and field. Yet here I am, competing as a “semi-professional” distance runner! The best part of about Mt. Tam is the teachers! After nine years of school, I left Mt. Tam with a love for learning. I owe so much of that to my teachers who made class time exciting and enjoyable. I often think back to the projects in Nancy’s history class (I think Race to Mecca still happens? ), the science experiments with Eric, and playing math games with Dave, and recall how much fun I had then with my classmates. All the teachers I remember from Mt. Tam, many of them still there, made that classroom a fun and enjoyable place to learn. That passion for learning is absolutely still with me today. What are you up to? What are your plans after you graduate from high school? Upon graduating high school from boarding school on the East Coast in the spring of 2018, I eagerly made my way back to the West Coast to attend college at UC Davis. We’ll see where I end up after that! Since my education has consisted of Mt. Tam School, which is around 300 students, and Westminster School, which is around 400 students, and I have loved my experience at each of those small schools, the last thing I ever expected I would do would be to attend a large university with 25,000+ undergraduates. There are two components that come to mind when I think about the best part of attending Mt. Tam. First is the opportunity to learn from teachers who are so devoted to and invested in each kid’s educational experience. I feel so lucky to have attended a school where the teachers are your friends and mentors and deeply care about each person on an individual level. Second is the well rounded structure of MTS student life. As a student at Mt. 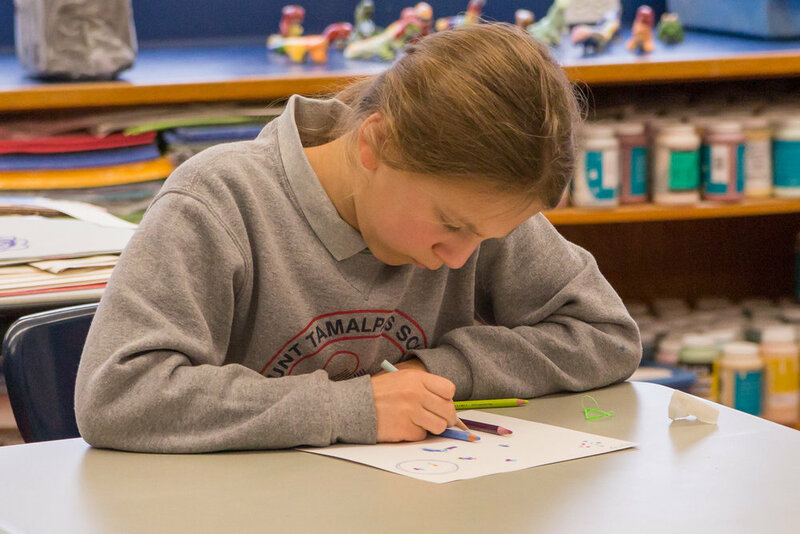 Tam, you get to develop many talents and interests without feeling pressure to prioritize certain activities because visual arts, performing arts, athletics, and more, are incorporated so seamlessly into the curriculum. It is so special to have exposure to such a wide variety of things to learn and engage in, and I think it not only helped prepare me for high school applications but it gave me a broader and more personalized education which I continue to carry with me today. One of the true blessings MTS offers is the opportunity to form close relationships with your teachers and friends. At the start of high school it can be disorienting to suddenly be so distant from the people and place you have known for so long. In my opinion, one of the best ways to help integrate yourself into the new community when you arrive at high school next fall is to find certain clubs, sports, or activities in which you can participate. Even if it is something you have never tried before and regardless of if you go to a big or small high school, having immediate opportunities to meet new people and contribute to your new community will be so influential in your overall adjustment and it will help to create a close-knit network that resembles the unique and special dynamic that exists at Mt. Tam. How do you spend your time when you’re not at school/work? When I am not at school or work, my favorite thing to do is spend time with friends and family. I enjoy going to the beach, playing sports, and eating ice cream! Movie or book you think everyone should see/read? A movie that I think everyone should see is The Blind Side. The message of unconditional compassion and always looking for a way to make a difference in the lives of others is inspiring and motivating to everyone. We are excited to announce our new Music Director in the Performing Arts Department, Simon Buret de Longagne (pronounced: boo-ray day long-gang). He joined us this January and is already working with students preparing them for the upcoming spring musical, Shrek. Read on to learn more about our new hire. What’s your background? What led you to teaching music? We had an upright piano at home that my dad bought because he was an ELP fan. I started piano lessons early. As a kid, I played the organ at church. When I was 12, I took part in an international chamber music festival. There, I met other young musicians from all over the world and music teachers from Belarus. When I turned 18, I went to study piano in Belarus—first at a school for talented musicians and then at the Conservatory of Music. That’s where I fell in love with vocal music and learned to teach. Later on, I continued studying piano at the San Francisco Conservatory of Music. I have been teaching music and performing in the Bay Area for over 6 years now. What’s your main instrument? Do you play other instruments as well? Piano is my main instrument. I played the organ when I was younger, and I just started to learn to play ukulele with my wife. Favorite musical? Favorite composer? What music do you like to listen to in your free time? I like The Lion King. The music was written by Elton John. What is great with music is that there are so many styles and forms that you always keep exploring. I like operas and art songs. Bach, Schubert, Tchaikovsky and Prokofiev are among my favorite composers. I also love listening to jazz and music from the 70s and 80s as well as folk music. Favorite teaching moment in the past? When a student is able to capture the character of a piece of music it really means a lot to me. Music is a great life companion, and I'm honored to give that to my students. What are you most excited about with your new role at MTS? Meeting new people, becoming part of a community. I’m really excited to see how our musical will come together and how the children will grow into their characters. What is something students and parents might not know about you? I like surfing, baking, and eating pastries. Simon leads students in preparation for "Shrek" auditions. One of the first lessons I remember learning in business school is that competitive advantage and strategy are made manifest in an organization’s architecture, routines, and culture. I have relished watching this play out at MTS. Our organizational architecture (departmentalized), as well as physical architecture (K-8 students sharing spaces), are an integral part of our competitive advantage. 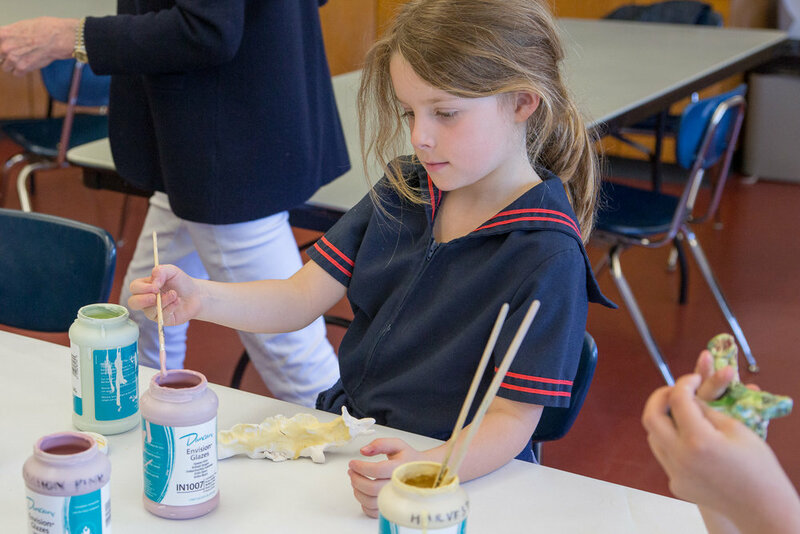 Likewise, our routines – the daily schedule with regular movement for students, time spent in performing arts and PE, and traditions such as Grandparents Tea – are also integral to who we are. And, of course, our culture is essential to MTS. In my first business school class on strategy, I learned that culture is defined, in part, by the stories we choose to tell. One of my roles as Head of School is the role of of story teller. 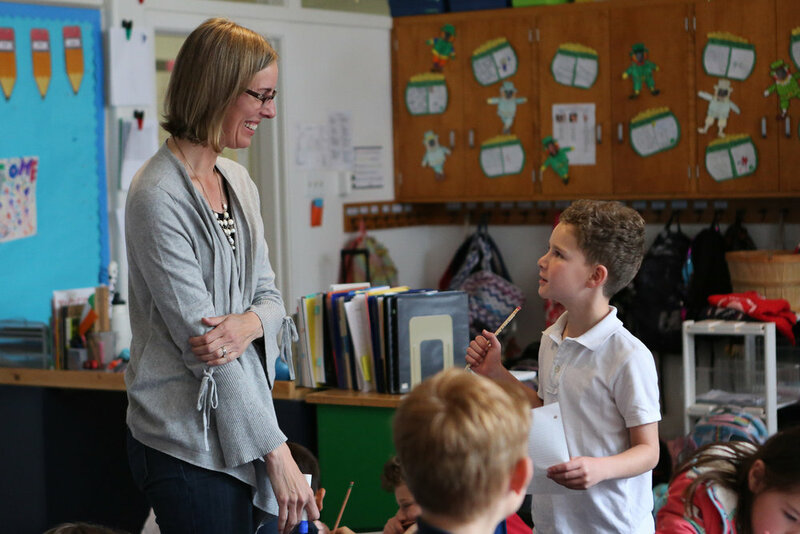 On admissions tours, I tell the story of a 7th grader cheering for a 1st grader on the basketball court after school – meaningful connections between young and old is a part of our culture. When I meet with 7th and 8th grade families, I tell the story of graduates returning to campus, so proud of how well prepared they are and sharing what a good fit their high school is. This year, we have added monthly all school assemblies to our routines at MTS. At the end of each assembly I tell a story related to the values espoused in our mission and integral to our culture. At our first assembly, I told the story of portaging a canoe through thick mud. While self-reliance, a value in our mission statement, was the focus of the story, I hope that my story communicated more than this value. As part of that story, I shared with the students that I had, at 14 years old, cried on the side of the trail. In disclosing this, I hope I communicated a cultural acceptance of emotion and vulnerability – that in our culture it is okay for a boy to cry. Most recently I spoke to our students about the value of integrity. Rather than sharing a personal anecdote, I started by defining integrity – doing the right thing even when no one is looking and doing the right thing when it is inconvenient. Then, knowing it would evoke some giggles, but hopefully be memorable, I told the students that the best way to remember integrity is “never wear dirty underwear.” We all know wearing dirty underwear is not the right thing to do – everyone vigorously nodded in agreement. We all understood that no one would know if you did. Integrity is deciding to wear clean underwear, even if it is inconvenient. Like with my story about self-reliance, I hope there was further learning with this funny aphorism. By telling this story, students learned that we can be serious – integrity is serious business – but we can also laugh. Laughter and learning together is part of our culture. We will talk about family vacations, like this one with all of us in Colorado this summer. As you gather with friends and family over Thanksgiving, I encourage you to think about the stories that your family tells. With my parents in Florida next week, we will undoubtedly tell stories of favorite meals, family vacations, and the turkey that never cooked when the oven died mid-roasting. Listening to those stories, Harrison and Huck will learn that food, family, and laughter are a big part of the Davis family culture. Thanksgiving is for being grateful and for sharing culture. Enjoy the Turkey and the stories! When I was in Middle School I went through a hard transition where some of my friends left the school, and I found myself often alone and outside of many social circles. In response to this difficult time in my life, I decided to throw myself into a new creative hobby: I was going to learn how to build my own surfboard from scratch, and I was going to learn to surf. Taking refuge in the Middle School Art Room, I checked out books and did research on surfboard design, fiberglass work, and tools for shaping polyurethane foam into wave-craft. After a couple of months of trial and error in my garage working alongside my Dad, I created my first surfboard. Sure, it was not a thing of beauty, it had more than a few wonky areas and the fins were too close together, but catching my first wave on that board felt so good because I had gone through such an interesting and involved process to reach that first exhilarating ride. Since that year, I have pursued surfing with what has seemed borderline obsessive enthusiasm. I have built numerous surfboards, traveled to surf all over the world in 5 different oceans, and dedicated endless hours to exploring the coast and learning the characteristics of weather and swell that favor every spot from Los Angeles to Oregon. My garage has become so filled with surfboards and wetsuits that I could probably run a small surf school, and my car permanently exists with a half inch layer of sand transported from local beaches. I have swum with whales and dolphins, sharks and sea snakes. The more surfing I do, the more I enjoy my time in the water, and I await with great eagerness the day I can share a long wave with both of my daughters. It is not just catching the wave that matters in surfing, that is only a short (albeit amazing) moment, rather it is the journey to get to the waves that is really fulfilling. When I think of my passion for the sport, of course it includes actually surfing; however, of equal importance, is the understanding of the local elements, the adventure of finding a new surf spot, the moments of mindfulness and meditation that come from surrendering control to the power of the ocean, the profound connection with nature that you can only get from taking yourself off of land and into a world that belongs to creatures of the sea, it is the friendships with other surfers, and learning how to ride with style from your elders. All of these things combine together to explain “how” I have come to truly understand surfing, and it is this depth of experience and process that makes it something of such great substance and fulfillment in my life. At MTS, there is much to be thankful for. We talked to students to find out what they are thankful for at the School. Here are their responses. 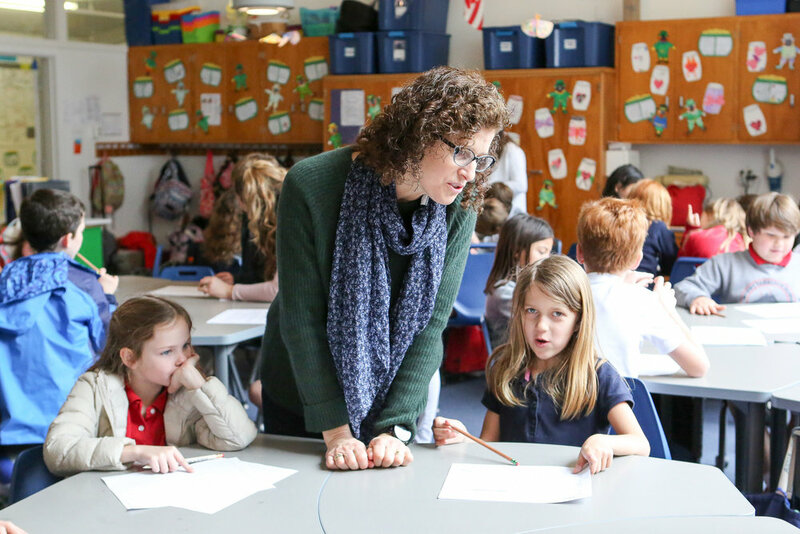 When the faculty reconvened in mid-August, I opened the year recounting one of the most pivotal moments in my teaching career – when Coreen Hester, then Head of School at the Hamlin School, asked me, and all of the faculty, to focus on understanding. Not knowledge, understanding. I told the MTS faculty that shifting the goal of my teaching to understanding brought new life and focus to my teaching. My pedagogy – how I taught and assessed – became more engaging. My curriculum – what I taught – grew deeper. Enjoy the process more than the product. In my own example, rock climbing, I love selecting the route we are going to climb. Gearing up. Placing gear. Building a beautiful anchor. Climbing with grace rather than force. I enjoy how I get to the top more than being at the top. Arrive at understanding through time, trial and error, and varied instruction – a long process. My understanding of climbing is the result of a NOLS course, instruction books, and climbing. A lot of climbing. Through college and the few years after college, I climbed different types of climbs of different levels of difficulty on different types of rock. Falling, as scary as it was, and getting “off route” and having to recover was also integral to my understanding. Robin, my frequent climbing partner, could tell you that there were tears involved in my understanding of how to climb. Demonstrate understanding in numerous ways. For example, I could pass a written test on climbing. I could outline a YouTube video series on how to climb and make an instructional video. I could teach someone else to climb. This year the faculty is working together on project based learning, as well as formative assessment – two topics closely linked to valuing and refining the how of learning. It is my hope that as the shift to understanding brought new passion to my teaching, our collective focus on process – How Matters – will similarly inspire the teaching and learning that occurs each day at MTS. Read on to hear how faculty member, Jennifer Adams, describes her learning process experience while taking up banjo playing. And, stay tuned for additional faculty process stories in our News blog & social media. Volunteering for the plays has been my favorite as though it was a profession. (I used to be involved through the local union in SF.) It's a great way to meet and bond with other parents on amazing production projects. me a closer connection to the school and my daughter’s daily environment. I love all of them. The Green Committee is probably my favorite because I have a faculty counterpart in Kevin, and it incorporates so many touch points both within the School and with our greater community. We started with the basics - getting composting and recycling bins at school. Now in year 3, we have some exciting programming coming up in conjunction with Earth Day. Did you notice we only had paper straws at the School Picnic? ;) More to come! What have you gained from the experience? We joined MTS when the girls were in 1st and 3rd grade. It was a different time, and it was intimidating to try and figure out where to jump in. I wanted to find something I could do that would open the door to getting to know other families and that I could balance with my work schedule. By signing up for different committees and tasks I wound up getting to know lots of parents as well as faculty and staff. I highly recommend mixing up your volunteer effort. Then I started coming to the Parent Association meetings and that was the best place to get a sense of all the things that are going on at school and all the ways to help. I would absolutely encourage people to join those meetings whenever they can, and I would tell them it’s ok if you can’t make it to every single one. The School really welcomes all volunteer efforts – there is a place and a way for everyone to contribute. The people who appreciate it the most, though, are the children – they are so proud when their parents are helping out with school – they just love it. One of the many special things about MTS is how close knit our community is, and volunteering really was a bridge for me to be a bigger part of my children’s school experience. Profession: I am a full-time dad and a part-time after school program director, teaching golf through TGA around Marin. Favorite MTS volunteering experience: My favorite volunteering experience has been in the the art room. To me it’s been wonderful because I get to interact with the students in several different grades and see them engaged in all the various creative projects throughout the year. What have you gained from the experience? Since I have been volunteering at MTS, I have gained a deeper connection to the School and a greater appreciation of the tireless commitment and dedication the teachers and staff have to the MTS mission of education and personal development. I am also constantly awed by the MTS community as a whole and feel exceptionally lucky and thankful to be a part of it. For me, volunteering is a small way to show my appreciation and give back to the MTS community and to also help the amazing teachers and staff who care for and nurture our kids every day. I struggle to find time to read for pleasure. I have, on occasion, tried to rise early and read. My boys have caught onto that and quickly interrupt the peace and quiet. Once I get into bed, any pages I read invariably have to be reread the following night as I don’t remember a single thing. While I once relied on vacation for reading time, even that, as you all know, becomes a challenge with young children. This summer is different, though. I have two weeks of vacation with… cousins! I am counting on my eight to fourteen year old nephews and nieces to buy me some good reading time. Here is what I am looking forward to reading. I love memoirs. From Agassi’s Open to J. R. Moehringer’s Tender Bar, I love learning about the lives and inner-lives of others. Educated looks like memoir meets John Krakauer non-fiction. 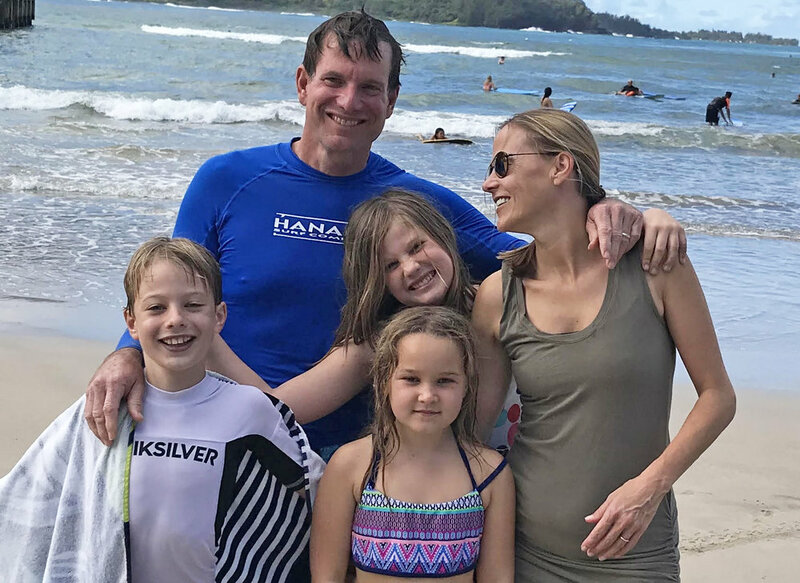 I recently read Jaimal Yogi’s All our Waves are Water when on vacation – with cousins, of course – and that book reminded me how much I enjoy surfing and surf life. While I have only gotten in the water one day this year, reading about surfing brings back wonderful memories. This one is reading for pleasure meets reading for work. We are hosting Wendy Mogul here at MTS next fall for a book talk on October 23. You can join me in reading the book before she arrives or get a copy that night and join our first MTS community book discussion in early 2019. If you haven’t read Julie Lythcott-Haims’ How to Raise an Adult, consider starting with that one and then read Voice Lessons after Mogul’s talk. Robin, my wife, has read a number of books about early elementary children. As Harrison heads into Kindergarten and Huck figures out how to “use his words,” Robin suggested I read this book. Okay, so this is a podcast and not a book. However, my second week of cousin-powered vacation is in Whistler, B.C. and I am going to be leaving Robin and the boys in Seattle for an extra few days of exploration. That means that I have 14 hours of solo drive time. This podcast by Gimlet Media has me, not a soccer fan, hooked on the World Cup. I am saving episodes for that drive. For those who also have long car trips ahead, I highly recommend all of the Gimlet Media podcasts. Younger MTS students might particularly like “Story Pirates” and my boys now brush their teeth for two full minutes because of “Chompers” a two-minute long podcast. As long as I am veering from books, I want to quickly put a plug in for a few of the games that we are going to be playing as a family. Games and card-games are a great way to keep math and STEM skills progressing over the summer. 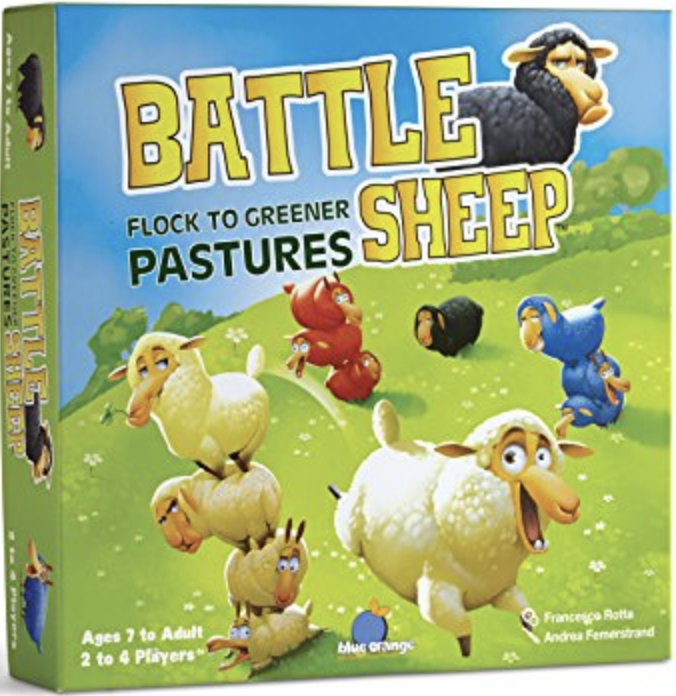 Battle Sheep and Dimension are two such games. You can see a more complete list of math and stem-oriented games here. We encourage our students to read over the summer. There is no better way to inspire your children to read than to do it yourself. Whether these books or others, consider joining me in turning off the phone and returning to long-form reading “for fun.” Or, more accurately, "trying" to return to long-form reading for fun. Our STEM curriculum in the 5th and 6th grades has been a resounding success. In February of this year when the Discovery Museum Try It Truck came to campus, our kindergarten through fourth graders had the opportunity to participate in a range of STEM activities. The engagement of our students during the Try It Truck week and the importance of hands-on engineering experiences led us to hire a new engineering teacher to support our students in grades K-4 starting this fall. When we talk about preparing children for this ever-evolving future, we want our graduates to enter the next phase of their lives with the confidence to tackle novel problems. Exploring, developing, and refining these skills starts from the first day our students walk into kindergarten. This is why we’re infusing more project-based learning into all of our curriculum and why next year our kindergarten through fourth grade will take an engineering course alongside their science, technology, and math courses. The engineering process – repeatedly planning, sketching, prototyping, testing, and critically thinking–is another way our students will grow and develop into innovative thinkers. Teaching this new course is Anastassia Radeva, our first Lower School Engineering and Math Teacher. 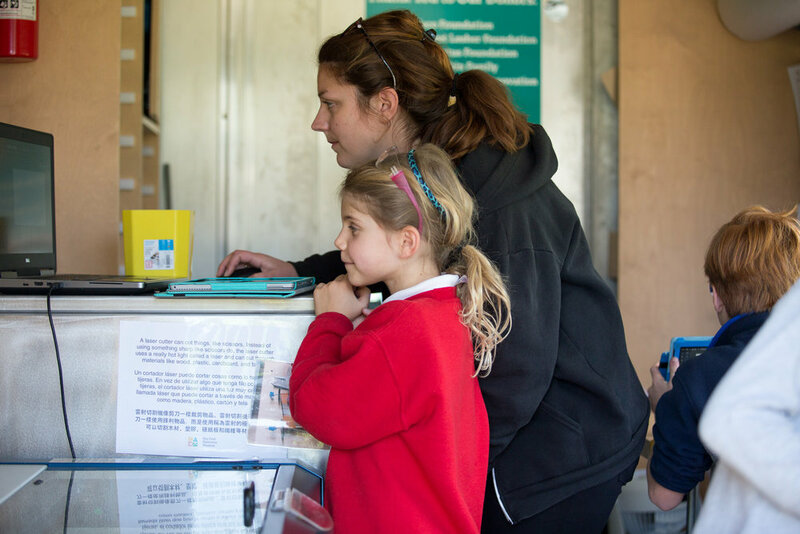 Prior to joining MTS, Anastassia was a driving force in developing the Discovery Museum’s Try It Truck program, and she comes to us with a natural instinct to captivate elementary age children. We asked Anastassia to fill us in on her background in the interview below. Q: In your last position, you were heading up the Discovery Museum Try it Truck, which came to MTS this past spring. Can you tell us a little bit about your background, how the Try It Truck came to be, and your role in its program development? AR: The Try It Truck has definitely been a labor of love for the last two years! Two years ago, it was an idea and a question: knowing that there are many barriers that keep elementary school students from being able to access the high-quality STEM education that the Bay Area Discovery Museum (BADM) provides, how can we create something that can bring those experiences straight to their schools? 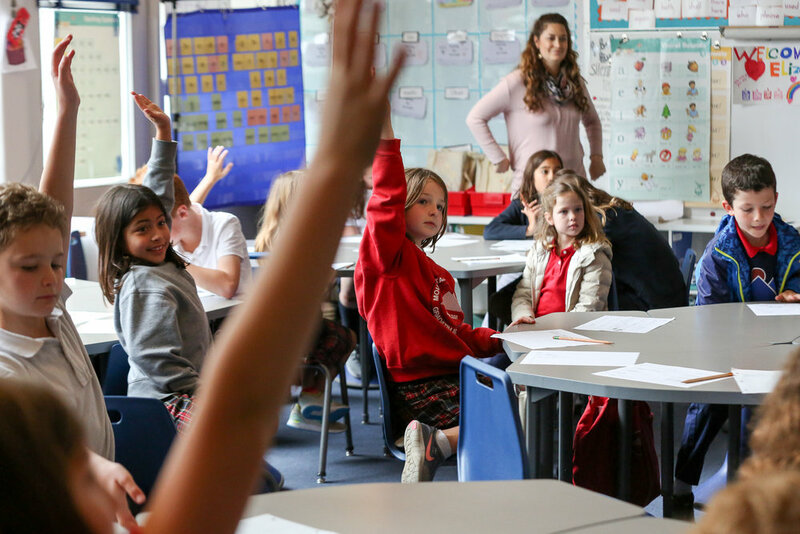 Specifically, how can we engage elementary school educators, students, and families in the “E” in STEM – engineering – which can be intimidating and alienating to many? Our answer was to purchase and build out a vehicle of some kind that could travel directly to children and families and bring a fun, educational, hands-on engineering experience to them. While I had no previous experience in building and equipping a truck, I was able to bring my background in classroom teaching at the elementary school level and learning space design to this challenge. I joined BADM to develop and start this new engineering-lab-on-wheels and was able to write the curriculum for the program, test drive and purchase the truck itself, participate in a collaborative graphic and interior design process, and then pilot the program at 10 schools and 10 libraries last year. This school year, I’ve been more focused on building out the program with more curriculum, establishing deep partnerships with schools – like MTS! – and libraries in all 9 of the Bay Area counties, and, of course, teaching during programs. While there is much still to be done in really establishing this mobile educational program, I am excited and proud to leave it in great hands here at BADM and to still be able to continue partnering with BADM for field trips as a classroom teacher. Q: Your amazing rapport with kids was evident when you were working with MTS students during the truck visits. 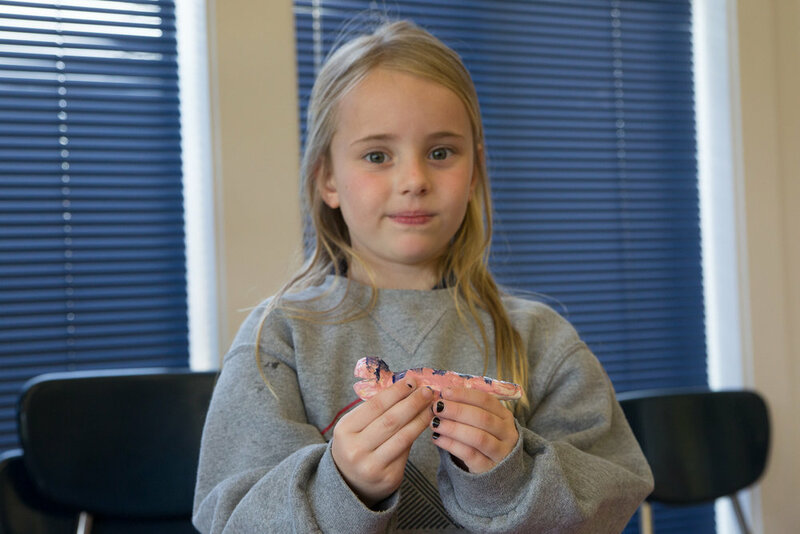 What’s your previous experience teaching primary age students? AR: Thank you for that praise! I had an absolute blast at MTS in January and loved working with all of the students in grades K-4. I first started out as a kindergarten teacher through the Teach for America program at a school in San Jose and quickly learned a lot about classroom management, curriculum planning, and the importance of establishing a positive, collaborative classroom culture. After several years there, I took a year off from teaching to complete the Learning, Design, and Technology Master’s program at the Stanford Graduate School of Education before jumping back into teaching at BADM for the last two years as the Try It Truck Program Manager. My favorite thing about teaching STEM at the elementary school level is that it allows me to work with students from many different grade levels and always pushes me to think about what’s best for a specific group of kids and to differentiate and modify lessons based on student needs. Q: What are you most looking forward to with the new role at MTS? 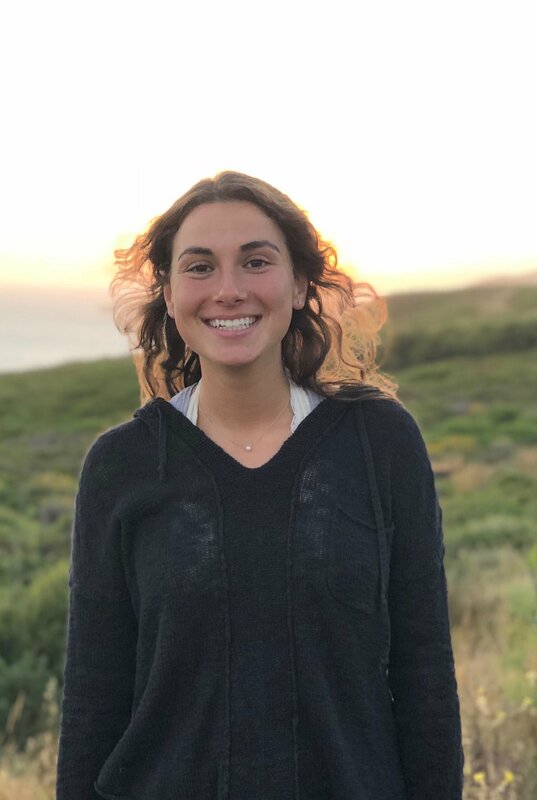 AR: I have loved visiting over 50 elementary schools throughout the Bay Area with the Try It Truck but the thing I have missed most about being a classroom teacher – and what makes me most excited to join the MTS team – is being a deep part of one single school community. I can’t wait to truly get to know students, staff, and families at MTS, to learn about traditions that already exist and to start new ones, and to help define what engineering education can look like at MTS. Q: Are there any projects you’re currently developing that you’re particularly excited about? How do you see the work you did on the Try It Truck translating into a STEM class curriculum for K-4 students? AR: I’m working on expanding the hand tools stations that we offer to young students beyond hammering and using screwdrivers to take apart electronics. I’m thinking through how we can have children working with hand drills and power drills! I think that engineering is really creative problem-solving with math and science, and I know that students love learning how they can use tools to solve problems in ways they cannot just by using their hands. I’m definitely going to be integrating hand tools, measuring tools, and gardening tools into the MTS engineering curriculum. If you have experience with woodworking or tools – please get in touch with me next school year, I would LOVE to collaborate and welcome families' ideas! I’m also planning to really focus on the engineering design process and how it can be used to solve real-world problems in our own backyard and community so that students can participate in tangible problem-solving on topics and problems that matter to them. Q: What programs went particularly well on the Try It Truck? Were there any projects that didn’t go so well when you first started the program? AR: Some specific stations that are always student-pleasers are our hammering station, our fort building station featuring PVC pipes and old cardboard boxes, and our water pollution station that engages students in taking plastic trash out of the “ocean” (aka the water table). There have definitely been projects that didn’t go as well, such as our first try at bridge building (all the blocks got stomped on or broken so easily!) or our first iteration of a 3-day program (it was WAY too long for young students!). 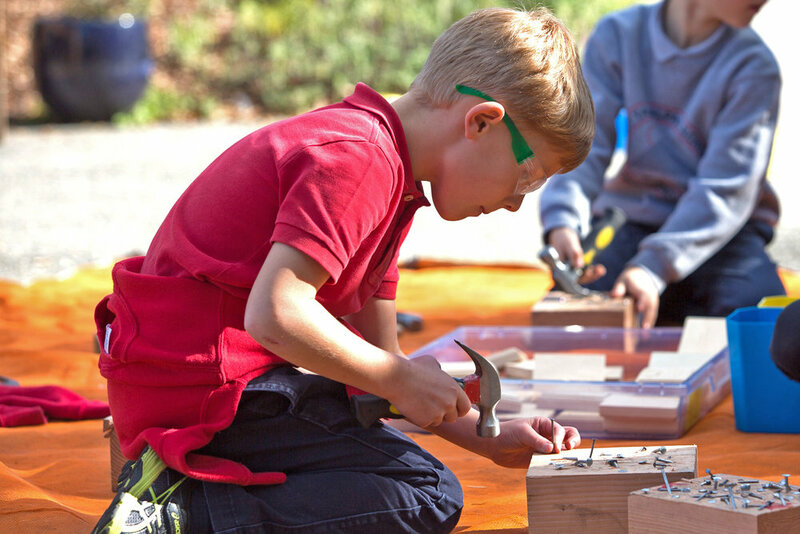 Q: What has impressed you most about seeing younger age students getting involved in hands-on STEM projects? AR: I’ve been amazed at how powerful it has been for students to truly drive their learning during Try It Truck programs by choosing which stations they want to go to, how long they want to spend at a station, and which students they want to work with. While these can be high expectations for young students, I’ve seen that when students feel in control of their learning, they are focused, creative, and enjoy the experience. I think that as a society, we can sometimes get really nervous about giving young children very open-ended problems to solve because we are worried they won’t get the “right” answer and will feel disheartened by that. My work in early hands-on STEM has shown me that given the right supportive environment, young children are more than able to make mistakes, fail, or crash their first prototype and then dust themselves off and jump right back into redesigning and trying again. For them – and for me – the process of making a plan, building a solution, testing it out, and redesigning is often far more important than the actual prototype a student builds. Q: Is there anything that students and parents might not know about you? AR: I am a first-generation immigrant to the United States and bilingual. 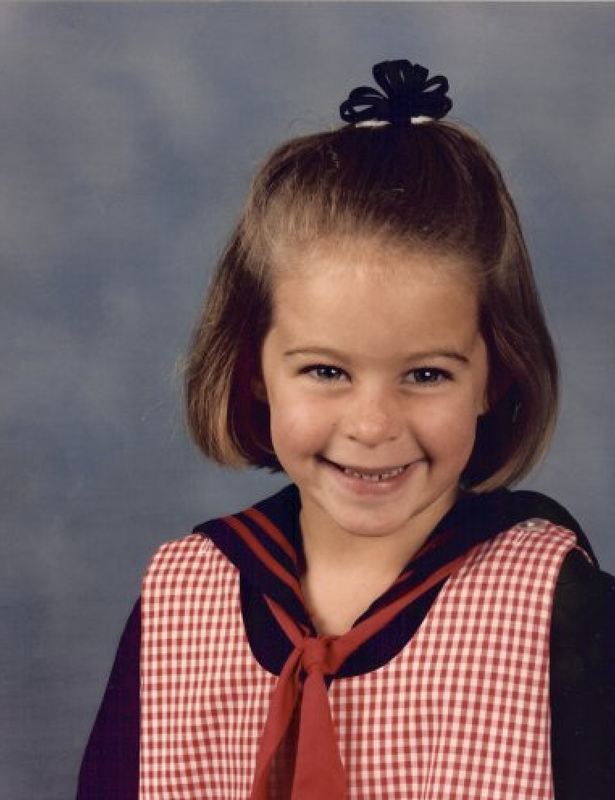 I immigrated to the U.S. when I was 8 years old from Sofia, Bulgaria and could not speak a word of English when I first started 2nd grade in the U.S. Since then, I have lived in Florida, Ohio, and New Hampshire (talk about swing states), and have called California home for the last six years. I live in San Francisco with my fiancé – who is a fourth grade teacher – and feisty dog named Poncho! Q: Anything else you’d like to tell us? AR: As the school year kicks off, I will absolutely be looking for ways to connect with families and would love to partner with you all to find meaningful ways for you to be involved, particularly with the school garden! Please look for information about this in September, and don’t hesitate to get in touch. We are excited to share that our newly hired music department faculty member, Lilianna Parker, will be taking our commitment to the Orff Approach to the next level. Lilianna has been teaching music for 20 years, and using the Orff Approach with music students for 10 years. Thanks to generous “Fund A Need” donation, the School is purchasing a swathe of xylophones, ukuleles, and rhythm instruments to support Lilianna’s program as she broadens the scope of what students are learning in music class. The Orff style of teaching is a play-based, fun, and collaborative way of working with students that makes music-making accessible to everyone regardless of musical background or ability. It was developed by the German composer Carl Orff and his colleague Gunild in the 1920’s. 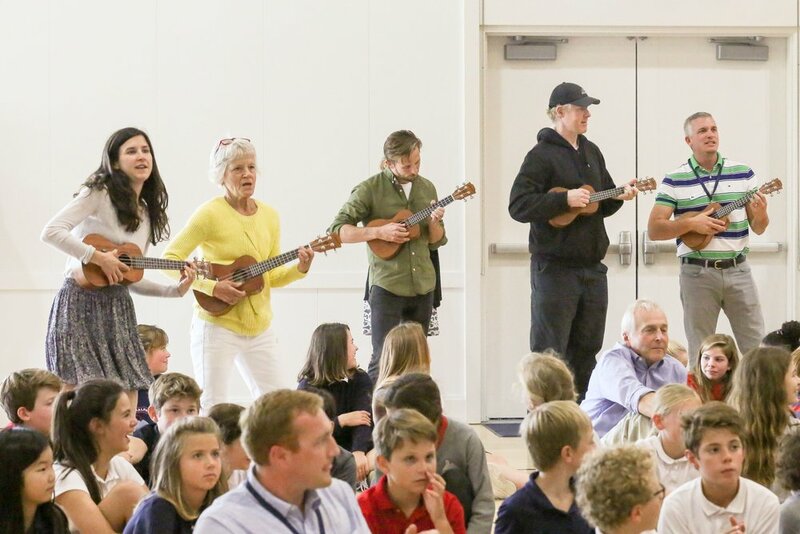 This child-centered approach to music education combines movement, music, and creativity. In the Orff approach, every individual is considered inherently musical. Through the lessons, children develop confidence in making music, improvising, and expression. 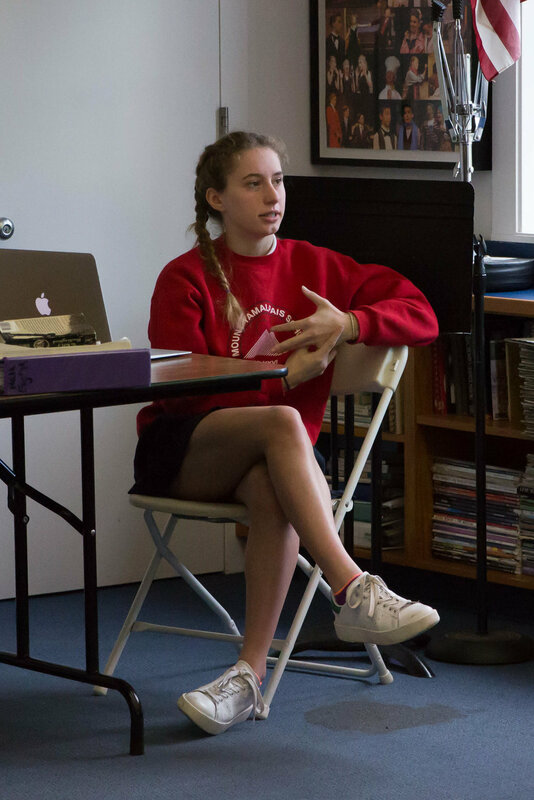 When Lilianna came to Mount Tamalpais School during her interviews and taught third and eighth grade students, it was immediately clear that she had captivated and engaged them. The Orff approach emphasizes the experience of making music through creativity and expression, rather than flawlessly playing a Bach prelude, for example. The opportunity for exploration and play allows students to learn and understand music from an instinctual and emotional level, rather than a potentially stressful one focused on the end-product. As we continue to emphasize the “creative and process-driven” elements of our program, we are looking forward to Lilianna joining our faculty. We sat down and talked with her to learn a bit more about her background and teaching style. Q: What’s your background? What led you to teaching music? LP: Ever since I was in middle school, I knew that I wanted to teach music. At that time, I thought that I would teach high school band. Although I never ended up teaching at the high school level, I have been teaching music for 20 years in grades K-8. Q: When and why did you adopt the Orff Approach? LP: Cutbacks to music education during the recession brought me to a new school that sent me to an Orff training. That was the start of a brand new exciting world for me and for my teaching. I fell in love with the process immediately and took many other trainings after the first one. Q: How is it different than other styles of teaching music, such as the Suzuki method? LP: The Suzuki method is an ear training method in which students listen to pieces and learn to play them by ear. Students learn each note exactly as the composer created it. 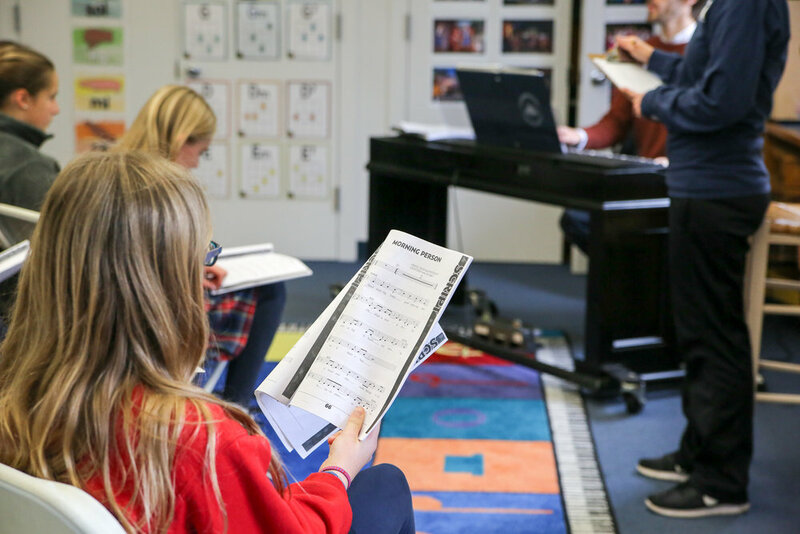 While there is some aspect of ear training in Orff and many of the traditional skills are still taught such as vocal quality, reading music, and chord structure, it is primarily focused on being improvisational. Students make music as a class, learn to accompany themselves on xylophones and other instruments, and re-invent the songs with both music and movement to make the song unique for each class. The approach invites creativity. Q: What are you most excited about with your new role at MTS? LP: I’m most excited about working in such a wonderful community. I have enjoyed all of my initial experiences with both staff and students. Everyone has been so welcoming and enthusiastic. I look forward to developing these relationships. I am also looking forward to developing my skills in teaching Orff and to building a comprehensive music program. Q: What is something students and parents might not know about you? LP: In my personal life, I am a wife to an amazing husband, Anthony, who is a guitar teacher. We are raising our two sons, a 14 year old, and a baby who will be one in July. We love to go hiking, make music together, and visit hot springs. It’s easy to be seduced by the finished product and rush to our imagined goal. The creative process is, however, just that – a process. As with any creative endeavor be it writing, composing music, acting, dancing, or painting, creators must lose themselves in the making in order to discover something new along the way. And in that journey, they look for and find inspiration, which results in the unexpected. Many of us are wowed by the end product of the MTS art room. What we don’t often see is the process and creative choices that go into making the artwork. In this issue we highlight two recent projects, one an MTS tradition and one new, that shed light on the role that process plays in art at MTS. 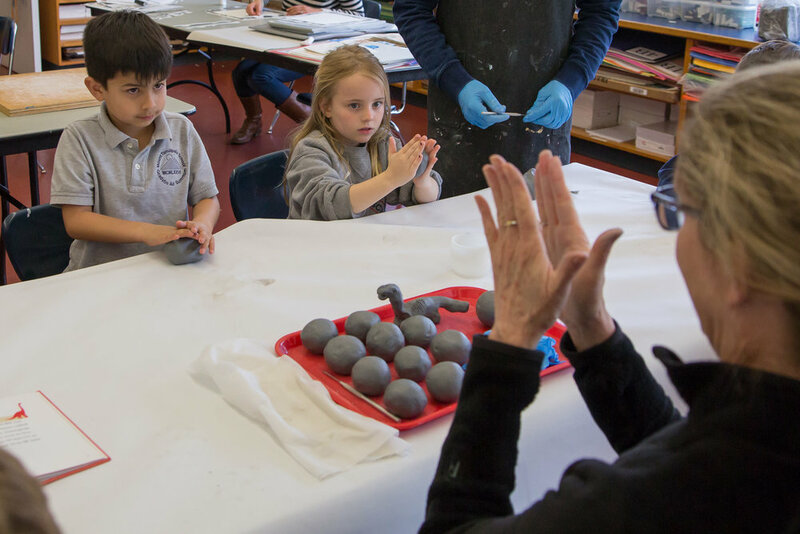 “What’s the first thing you do with the clay?” asks art teacher Evy Packer of the kindergarteners sitting around her at the table. 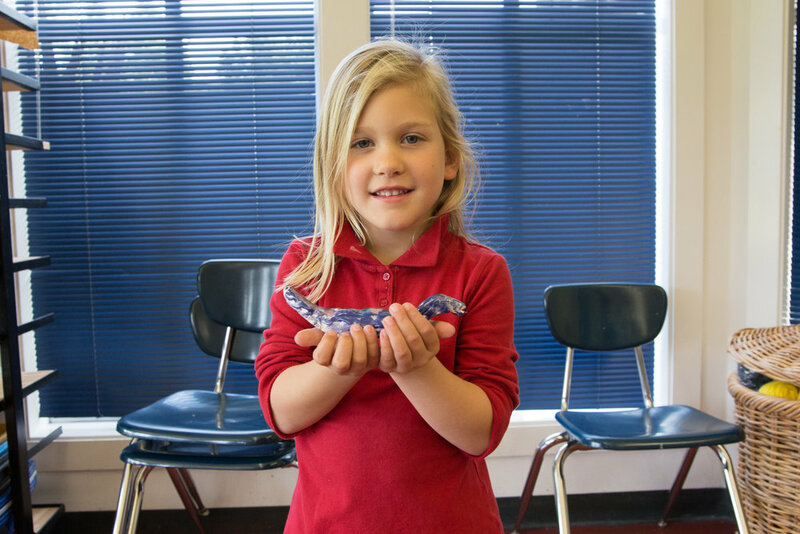 Students respond with various answers, and she echoes it enthusiastically, “We roll out the clay into the shape of a burrito!” The “Dino Project” that kindergartners work on in Tyler Bewley and Evy Packer's visual arts class is an MTS tradition. The beauty of the project is two-fold: most obvious is the ceramic dinosaur which many students cherish for years to come (8th graders often still have and talk about theirs), less obvious, but just as important is the creative process. Students start out researching, looking at pictures of and drawing their favorite dinosaurs. Next, they create clay versions of the dinosaurs from the drawings. After creating the 3-dimensional version, students look at the unfinished clay model and make another drawing - this one to envision the colors they’d like to glaze the dinosaur. The kindergartners then have the opportunity to mix the colors and glaze their dinosaur, which is baked in the kiln. 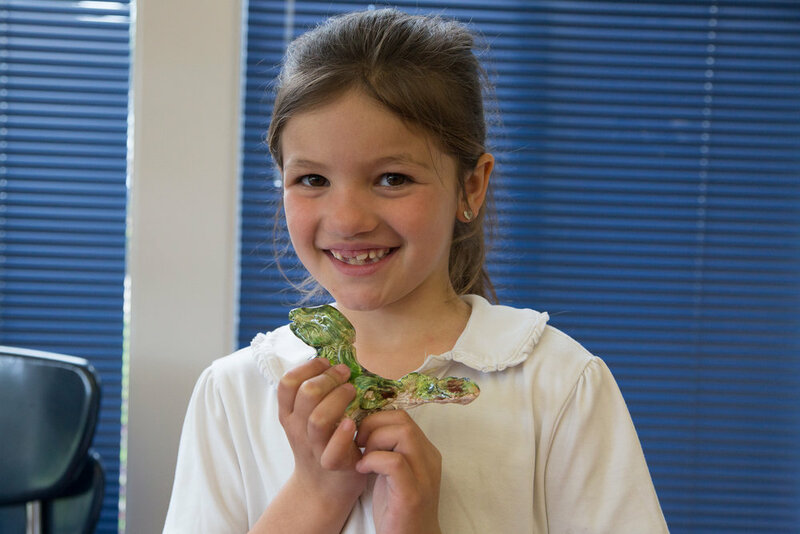 Once they have their final dinosaur, which they all give names – this year’s include Isabelle and Rainbow – they create a second dinosaur out of clay to be a friend of the dinosaur. After going through similar steps to create the second dinosaur, students then work together to create a “Dino Land” where the dinosaurs can live among volcanoes, trees, rocks, rivers, and waterfalls. The entire process allows students to experience multiple ways of looking at the same idea, a dinosaur, and to watch their creation go through various phases before they have the final dinosaur in hand. Local Oakland artist, Alicia McCarthy, is the inspiration behind the Weaving project 6th graders are working on this spring. 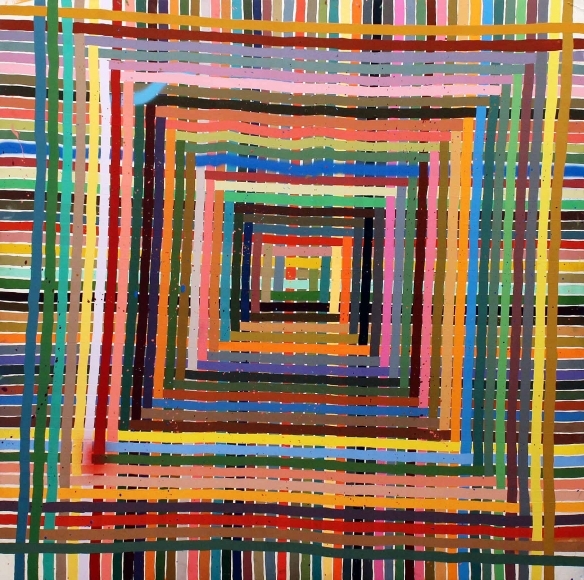 Considered an integral member of the Mission School, a group of young artists associated with San Francisco Art Institute in the 90’s particularly known for graffiti art, McCarthy has developed a style of painting that weaves interlocking colors in a grid-like fashion in simultaneously casual, yet structured compositions. McCarthy’s process is central to this project. After learning about McCarthy’s work, the students started by writing down their thoughts about what might inspire them to make their own compositions. 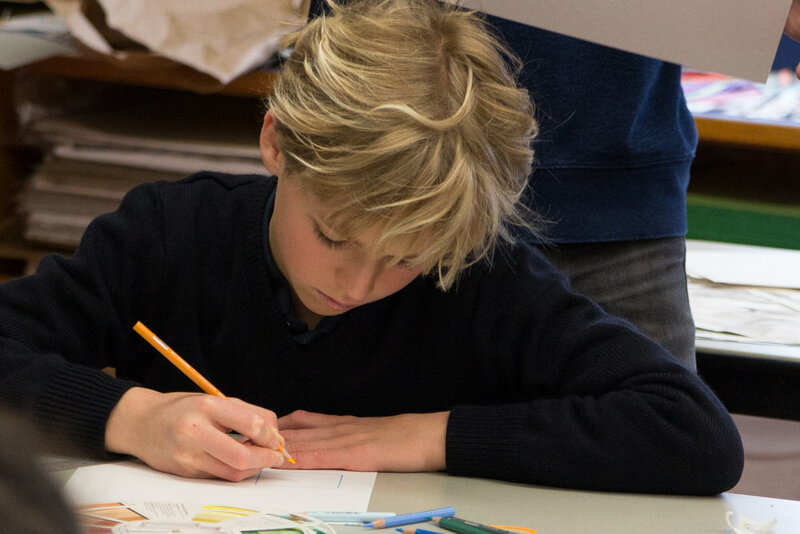 They were encouraged to think about what feeling they’d like their work to elicit, and they looked at color wheels to help figure out a palette that would best reflect that feeling. 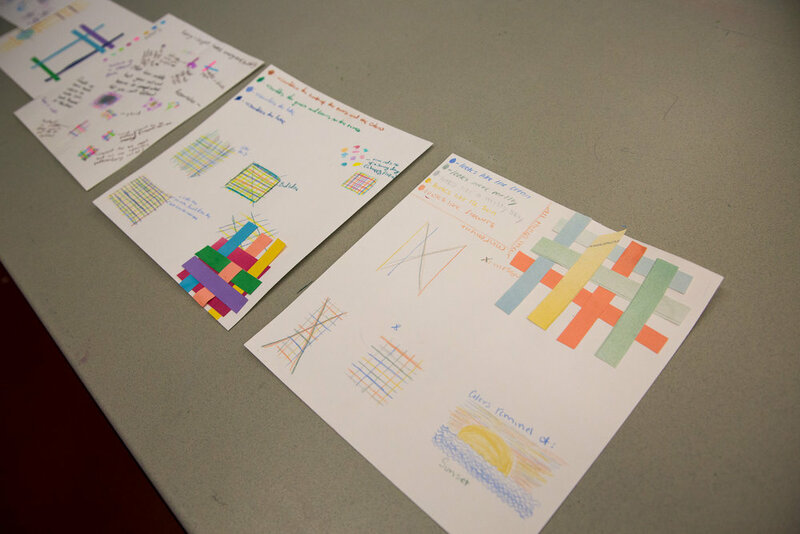 Next, they began to sketch out ideas for what their weave patterns might look like before setting out to work with strips of paper to create their own woven compositions with the idea that the notes they’re taking are part of the final piece. Like McCarthy, the process included numerous, intentional creative choices along the way. In an interview McCarthy had with SFMOMA about her early graffiti days, she says, “There wasn’t a preciousness about what we were doing, where we were doing it, or what materials we were using. It wasn’t about a particular end. I didn’t necessarily go paint on the street wanting other people to see it. It wasn’t about showing. It was just an activity that was thrilling and freaky and fun… It was about the act of doing it, and it was also a way of digesting the urban environment…” In a similar way, Evy and Tyler encourage MTS art students to find meaning in and lose themselves along the way of a project, to see each step as an integral part of what they’re making, and to take pleasure in and learn from those steps as much as they do from their final, woven piece that they hang on the wall. Understanding the writing process, including rewriting, is critically important when learning how to write. Writers must learn that we can always continue to revise and improve – writing is never really done. 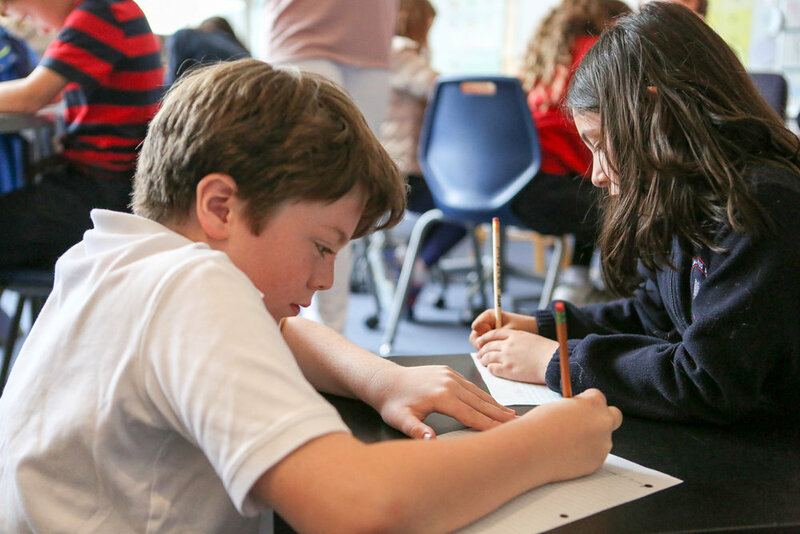 The writing process comes to life in MTS lower school classrooms through the Writer’s Workshop. 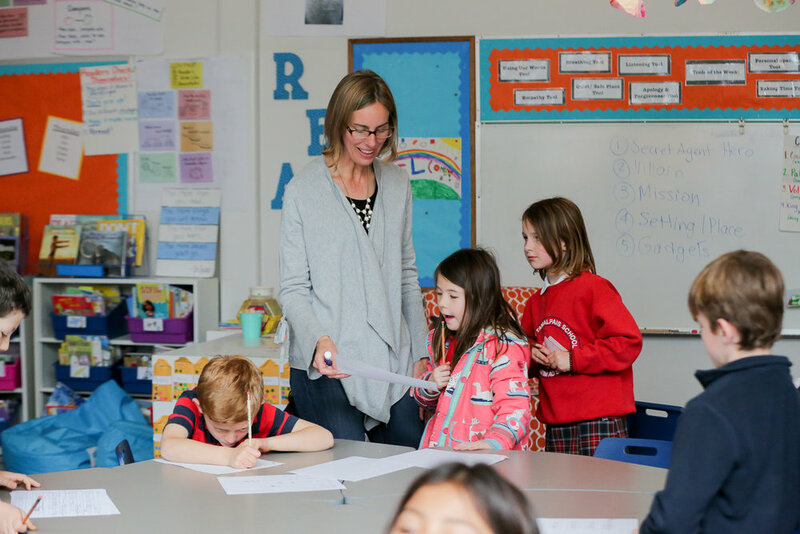 The Workshop has a very specific, structured approach for guiding students through the process of writing, as evidenced in the recent progression in 2nd grade humanities class. During a project that focused on opinion writing, three discrete steps, called "Bends," were introduced. 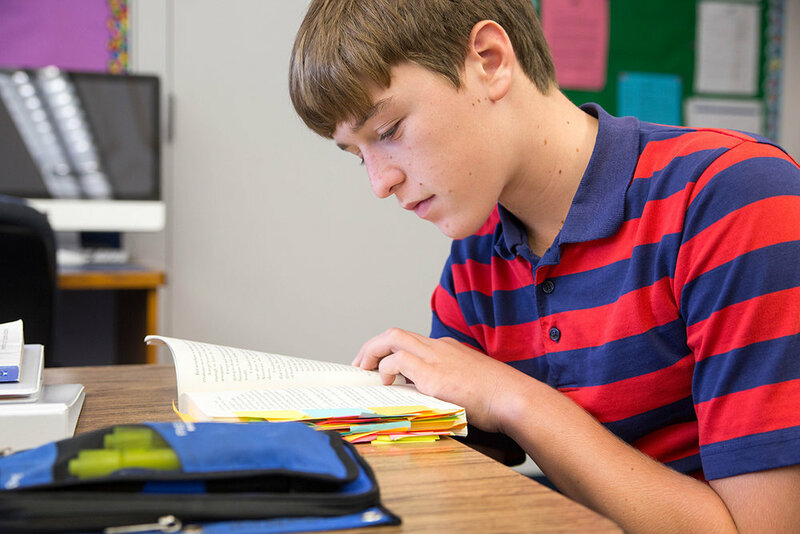 During Bend I of this unit, students learned how to write about some of their favorite books in a way to persuade others to love them as much as they do. The unit kicked off by teaching students how to form opinions about the books they read by thinking deeply about the characters. Students also learned how to state an opinion clearly and support their opinion with evidence. Bend II of the unit focused on raising the level of their letter writing. 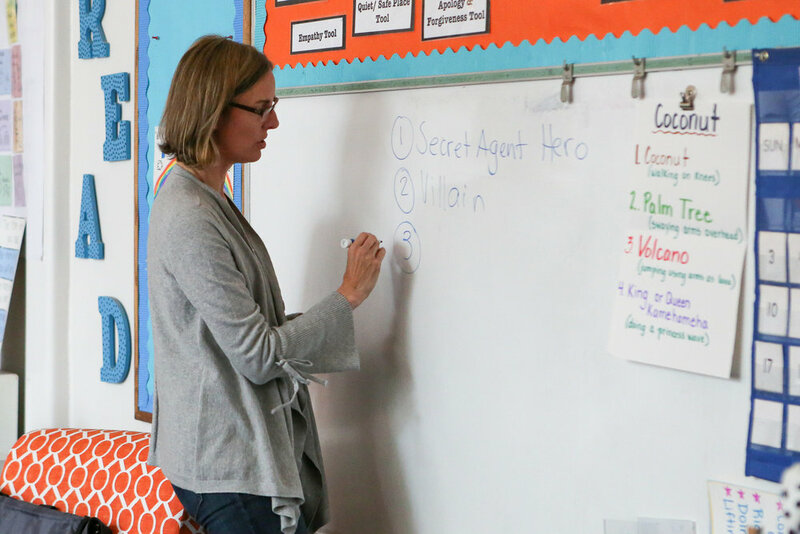 Humanities teacher Rachael Olmanson coached students to engage in close reading as a way to spark new ideas to push themselves to deepen their thinking. 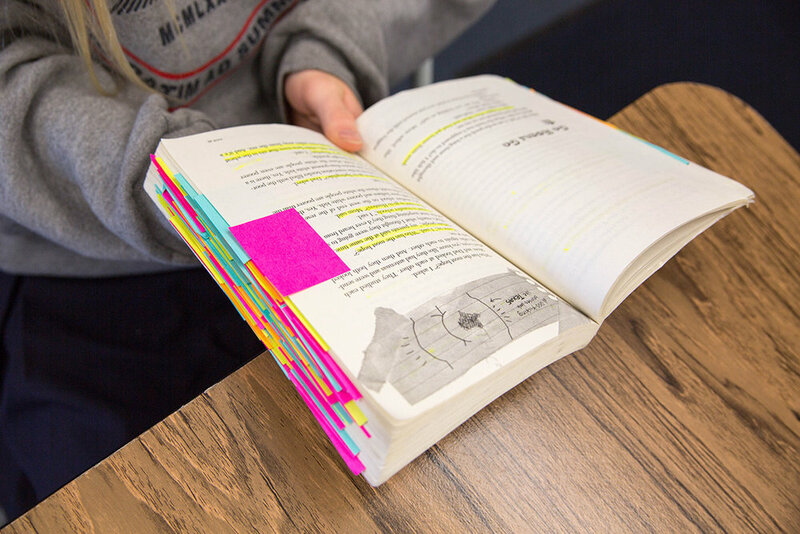 Students used Post-it notes to mark the parts of their favorite books that they could elaborate on as evidence in their opinion pieces. The class is currently wrapping up this bend with the students participating in punctuation inquiry and application to incorporate the conventions they notice in published books into their own writing. 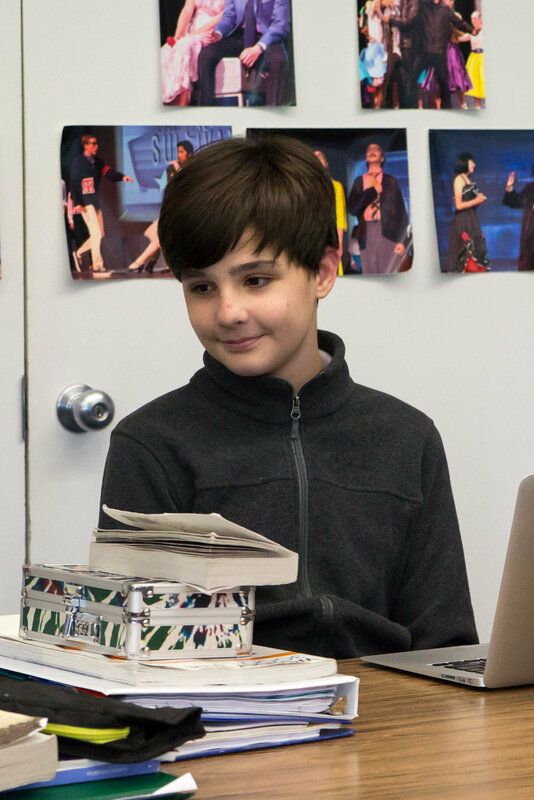 In the final bend, Bend III, students will shift toward writing letters that convince their readers that the books they are reading are worthy of awards. They will also learn how to stretch their thinking and writing by comparing two books. This step-by-step process guides students along, one technique building upon another, allowing them to take what they’ve already written to a deeper level or to build upon what they’ve learned and try writing about a similar topic in a new way. 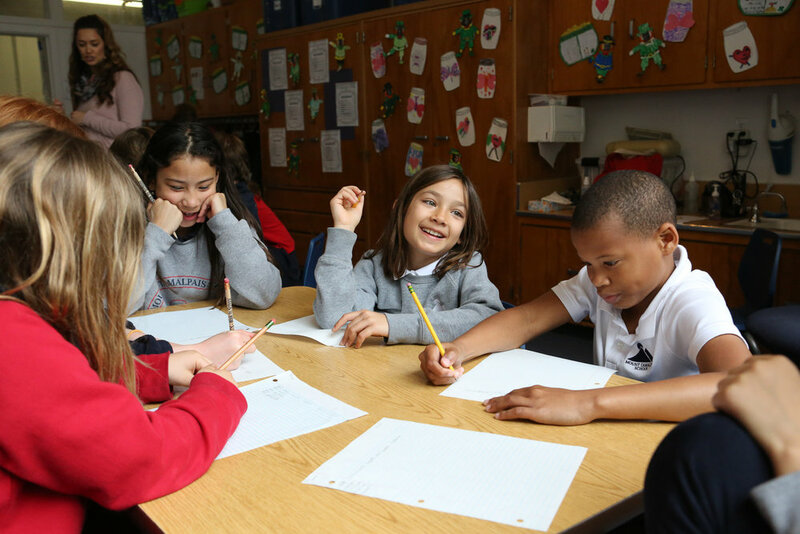 No matter where students are in the writing process, at the core of Writer’s Workshop is the “mini-lesson,” a ten to fifteen minute teacher led focus on a particular technique or tool for writing that is used in all grade levels. Recently the 5th grade class focused on the mini-lesson, “What makes a quote powerful for opinion writing?” After some class warm ups, Ally Svirsky, 5th grade humanities teacher, gave a personal example to help get the conversation moving, and then the students took the exercise back into the pieces they had already been writing, using quotations to bolster their point. Visitors to MTS often comment on how well-kept our campus is and that our program seems highly structured with students moving every forty to eighty minutes. Those who are in the classrooms, from math to art to PE also note the impressive discipline of our students. Order and discipline are not what most of us think about when we envision creativity and process. Doesn’t an improvised, changing schedule or messy studio yield greater creativity? As we strive to further live our mission, does our structure and discipline keep us from offering a “creative and process driven” education? I do not think so. In fact, I believe that we are onto something that many great creatives know, creativity needs structure. Four years ago I wrote a piece titled “ISIS, Latin, and Middle School” about just this. That essay was inspired by David Brooks’ New York Times article “The Good Order” in which he shares the ways that “creative people organize their lives according to repetitive, disciplined routines.” From Maya Angelou to John Cheever, Brooks writes, “They think like artists but work like accountants.” Poetry, particularly the sonnets of Shakespeare or the haiku of Basho, is further evidence that structure and limits, breed creativity. And it is not just art that needs structure. The same applies in Silicon Valley. Research on “organizational slack,” lack of structure, shows that too much “free time” is counterproductive to innovation. As we focus on offering a creative and process driven education, we do not need to lose our structured identity. In Brooks’ words “order and discipline are the prerequisites for creativity and daring.” Our order and discipline, though, does not guarantee creativity and daring; it is only a prerequisite. In the months and years ahead, we will be looking at how we work within our creativity-inducing structure to ensure that we are living the “creative and process-driven” call of our mission. There is outstanding creative and process-driven work happening on campus each day – some of it documented in the two articles in this month’s MTS Too. Is there room for more? Absolutely, and we have the right structure in place to see that creativity realized. 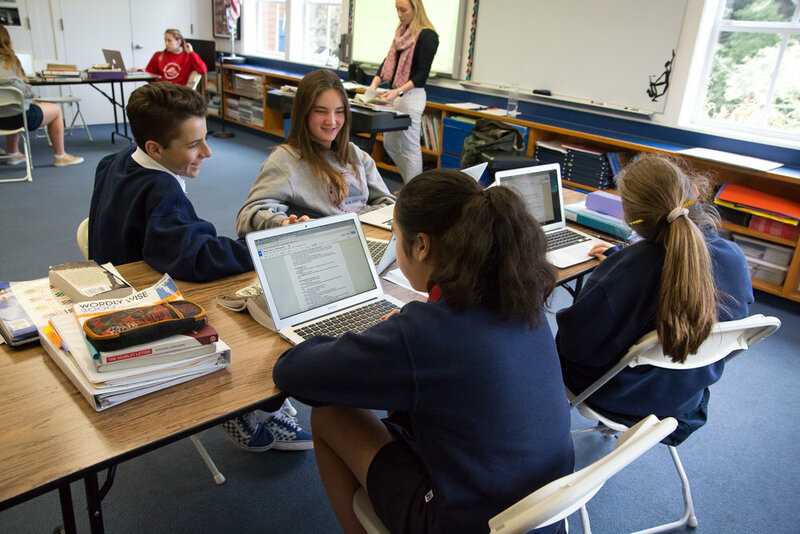 We spoke with Mike Taverna, Director of Instructional Technology, and Lauren Mayer, Middle School English teacher who uses technology in her classroom, to learn more about the School's approach to the use of technology. Q: We are fond of saying that technology at MTS is intentional, not ubiquitous. Could you talk about this? What does that mean in practice? 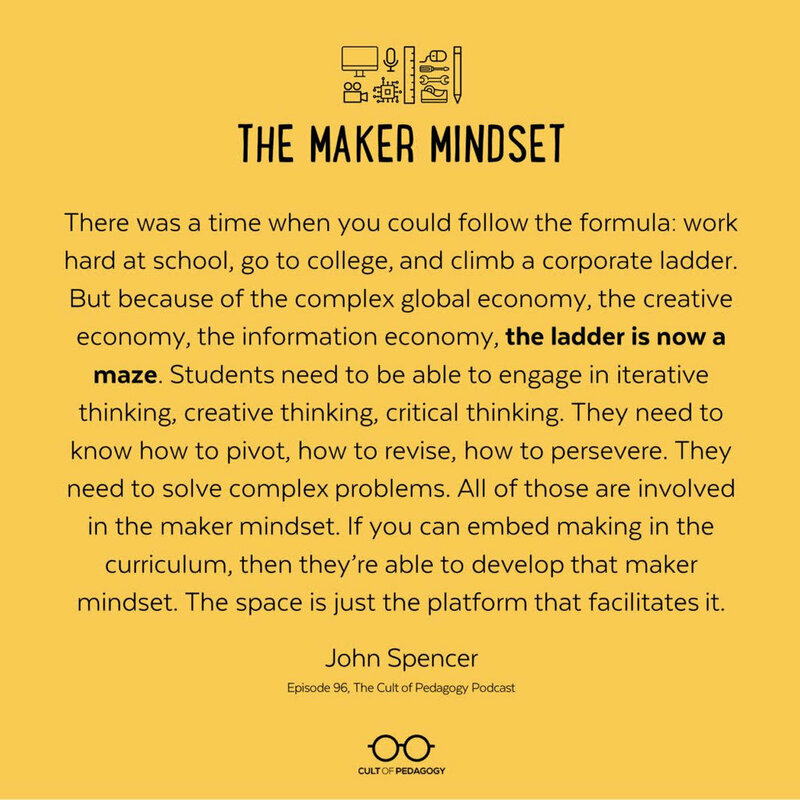 MT: One of the reasons I like the approach toward technology at MTS is that we focus on what the main goal is: what are we are trying to teach- that comes first. What tool can help me do that? - that comes second. If it’s the other way around, with technology first, not second, then you’re developing a program that needs to be justified. I’ve seen this kind of approach at other schools I’ve worked in the past. Here at MTS, we have technology options available for use, but it’s not considered the end-all, be-all. The school values more personal, hands-on approaches when applicable such as reading books, talking in a circle, and the value of human interaction in social emotional learning tools. In general, I like to think of using technology in a way that fits into one of these categories: Efficiency, Engagement, and Enhancement. In other words, is it efficient? - making lesson plans quick to put together and also making good use of class time; is it engaging? - making sure we keep the students interested; and does it enhance or improve the lessons to make our teaching more effective? If you decide to use a digital learning tool, it needs to fall into one of those categories. 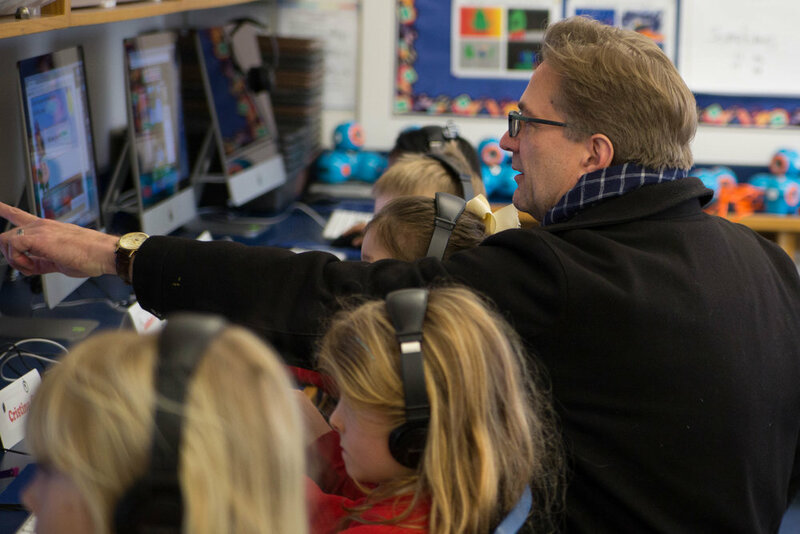 At MTS, we want to develop a culture around the idea that technology is available to help by giving teachers the opportunity to attend workshops, so they can see and understand the options that are available. It’s really all about balance. We also need to understand the curriculum development and the progression that students are making with regard to the kinds of digital tools they should know how to use. How can we best prepare them for high school and beyond in terms of the real world application of technology? What technological skills will they be expected to have in high school, college, and the work force? It’s important that we help students develop the basic skills and productivity tools that will ensure them future success. Q: What are the concerns around using technology in school? MT: Is it reliable? Teachers worry about this. They decide to take a risk, plan a lesson using technology, and then it’s not working the day of the lesson. Maybe the internet is down or the application isn't functioning correctly. These types of issues discourage teachers from adopting and planning around it. Another concern is distraction and classroom management. 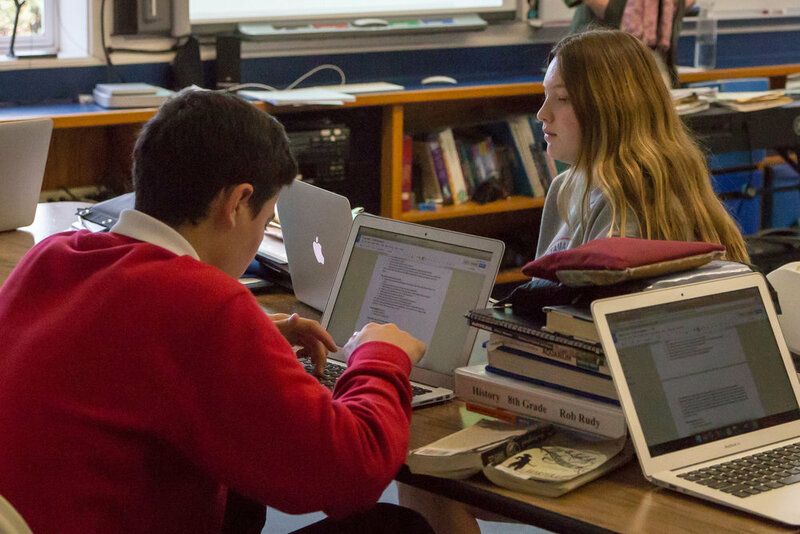 If the students are on devices, will they get distracted and off-task? Do they have easy access to the internet? This can be difficult to monitor. For some teachers, the use of technology is counter to their philosophy. And then there are some subjects that you simply don’t want to use a technology solution. It feels like it's at the other end of what you're trying to do. For example, in social emotional learning, you don’t want to replicate human interaction with a piece of equipment. Not every teacher needs to be using it, not every class, and not every lesson. There's a real need for balance. It's become such an integral part of our culture that it's important to teach what’s acceptable, using common sense, and keeping in mind that we're responsible for creating a healthy environment. Our job is to be sure that balance is achieved somehow. If we’re putting a laptop in every kids' hands, is it too much screen time? We all have to work on it, parents, teachers, and students alike. And in order to ensure that we're intentional, as teachers we have to know that part of teaching is showing how and when to use the tool by describing how and when it should be used and taking ownership of it. Q: What’s your role at MTS? MT: When I started, and an ongoing part of my role, is focused around systems and infrastructure. I make sure all the school's systems are working as they're meant to. The other fundamental part of my role, and the area I'm most excited about is laying the foundation and helping shape the culture at the School around technology. I'll be reviewing the students' curriculum from K-8 to see where we might implement specific workshops and programs that can help the faculty understand where and how they can use technology. Q: How do you use technology in your English classes? 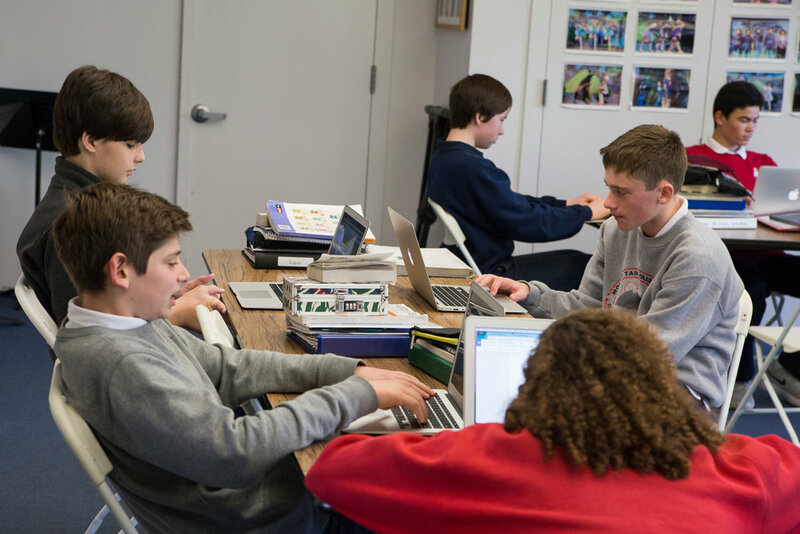 LM: In 7th and 8th grade English, we primarily use technology to support and facilitate the writing process. Google Classroom is a great platform for many reasons–as a teacher, I can easily send out assignments to students, post upcoming due dates on a class calendar, track student progress, and provide timely feedback on essays. Classroom makes it easy for students to submit drafts, read teacher comments, and revise their work, as well as have a digital copy of their assignments. When students sign up, the platform automatically creates a folder in their drive that stores all their work and keeps it organized. It’s efficient for both students and teachers as both can access it anywhere with internet, and it allows for and tracks the natural back and forth process of writing and going through multiple drafts. I can give faster feedback for writing, because I can just type it instead of writing it down on paper, and then it’s all captured digitally and can be accessed later at any time through the process, making it easier to track a student’s progress. The platform even has an audio record option, so I can dictate feedback, and the students can listen to it later. As the teacher, I can easily pull up global summaries of who has turned in assignments or I can organize summaries according to each student. I can post announcements, and upcoming assignments, or I can pose questions with the discussion/comments feature. I can post questions to all the students as a group in a forum-like fashion, or I can ask “closed” questions to get feedback from students where only I can see the answers. I can see previous assignments and can repost old assignments to a new class without having to re-do everything from scratch. I don’t use it for everything. For some lessons like grammar and vocabulary we still use a pen and paper, but the digital platform definitely has its place. Q: How has this proven successful? Have you encountered any challenges? LM: I think students really enjoy using Classroom. 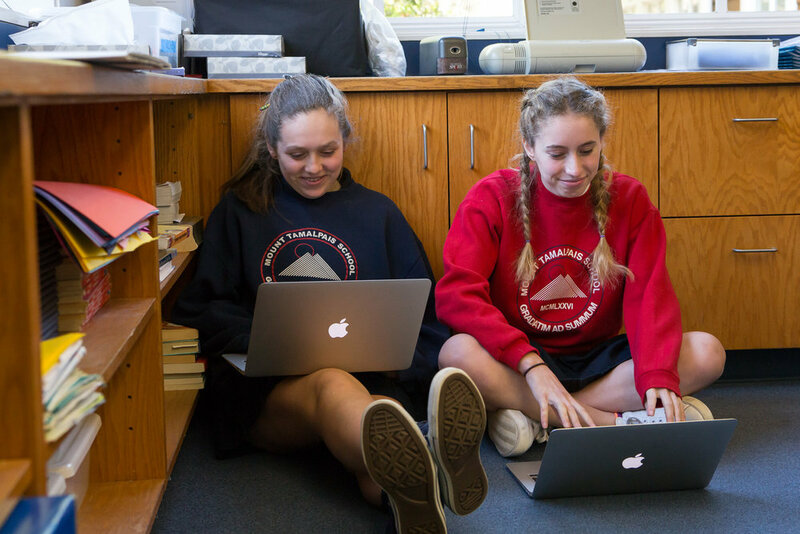 They can access assignments at home, collaborate with classmates for peer editing, and have immediate access to a digital “portfolio” of their major assignments. Classroom links directly with Google Drive and other Google Apps, which helps students organize their work and easily review prior teacher feedback. We occasionally run into glitches, but overall it’s been very helpful. Q: How do you see the use of technology as beneficial to the students? Do they like it? Does it improve the lessons you’re trying to teach? LM: I think the greatest benefit of Google Classroom is the ability for students to readily access their assignments, organize their work in a centralized location, and receive timely and specific feedback from teachers. Q: How long have you been using this teaching method for your English classes? Did you use this in previous teaching positions? “Hard things are hard.” President Obama kept a plaque on his desk with these words to remind him of the importance of not taking the easy road. These words resonate with me as a parent and school leader. Being a parent is hard. 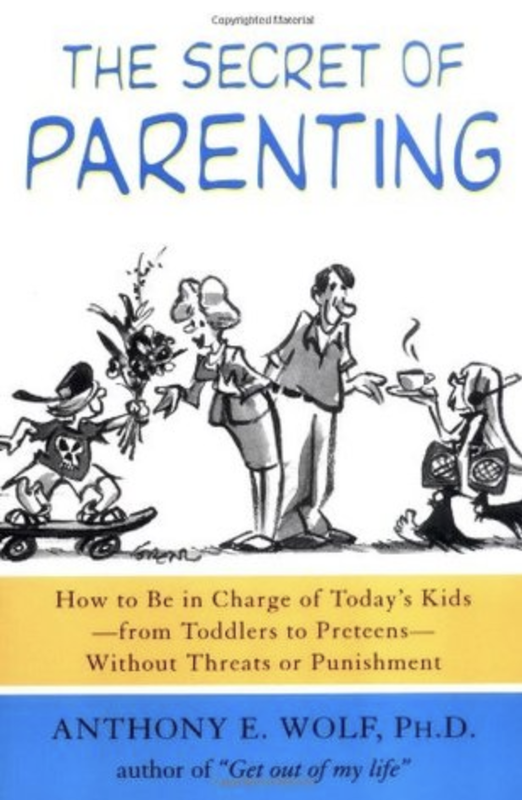 Academic studies show that the two easiest paths to parenting – the strict and controlling ‘authoritarian’ and the laissez-faire ‘permissive’ – are less effective at raising well-adjusted children than an artful blend of the two, ‘authoritative.’ Authoritative parenting requires that we balance control and independence, authority and warmth. In my experience this balancing act is hard, and I don’t even have teens yet. Indeed, hard things are hard. Technology use in schools is, I believe, a hard thing and requires a similar challenge of balancing two competing “easy” forces to yield the best results. It is tempting to put a device – whether iPad, chromebook, or laptop – in the hands of every child. With our students on screens in each class we would look like a school “of tomorrow.” However, research is showing that our children are only getting more and more screen time. This screen time is, in turn, having an impact on social skills such as empathy. And, skills like note-taking are proving to be more effective when done by hand rather than digitally. I recently watched our students build and test helicopters as they learned about air resistance. Their hands-on simulation was just as, if not more, effective than an online-simulation. And, over the course of the period, the students practiced how to work with others rather than click a mouse. It is not just the adults who are recognizing the downsides of ubiquitous technology. I have worked with middle school students in a 1:1 environment who bemoaned that every assignment was on their iPad and that they were too often distracted by YouTube and games, just a swipe away. As the pendulum has slowly started to swing away from constant connection, including during the school day, some Silicon Valley leaders – those we would expect to endorse technology – are sending their children to schools with no educational technology or trying their best to limit access to screens for as long as possible. A tech-free school and life, though, also seems too “easy.” At school, technology can deepen understanding. At MTS, students are able to learn the thinking routines and skills of a programmer with a computer and robot. English and humanities students get real time feedback on their writing from teachers and peers on a writing assignment. Math and world language students are able to get “reps” at just the right level using a blended learning platform such as XYZ or Language Nut. Technology can even further learning in the arts – this week the Scene Study class is using iPads to record, watch, and critique their own performances. 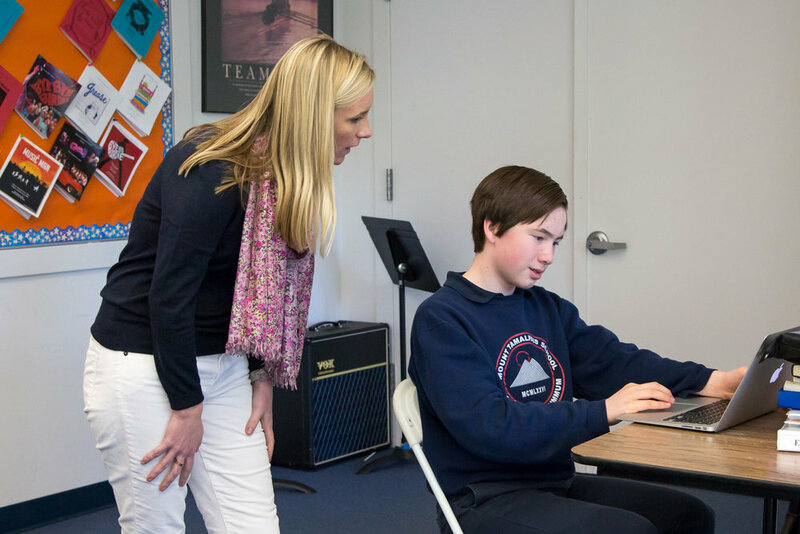 Furthermore, when our students start 9th grade at just about any high school, they will be required to interact with teachers and peers using technology. So what is the future of educational technology at MTS? Like ‘authoritative’ parenting, there is a sweet spot in the middle between ubiquitous computing and a Luddite refusal to use technology. To me that balance is best described as “intentional” technology use. 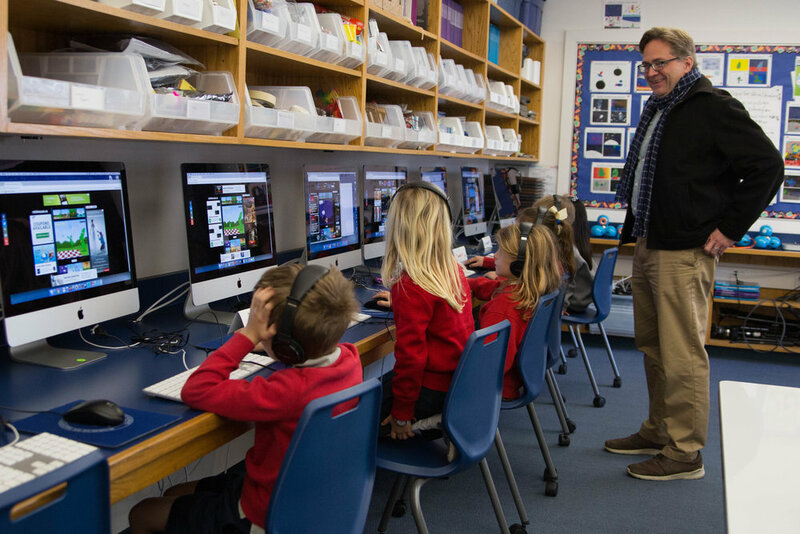 Our goal is that our teachers have the training and support to recognize when technology could deepen student understanding and the devices to implement those tech-enabled lessons. We do not want students using technology for the sake of using technology, even if it looks like something a school in 2018 “should” be doing. We also do not want our students missing out on opportunities to grow in the classroom because we don’t have the support or the machines to enable this growth. I am thrilled to work with Mike Taverna, our Director of Instructional Technology, as he builds relationships with teachers and shifts more of his time to helping teachers implement effective uses of technology. And, like parenting, technology integration is not always perfect. There will be lessons where we use technology and the learning objective is muddled by the machines. There will also be lessons that, in hindsight, could have been strengthened by a digital tool. We will always, though, keep our eye on finding the balancing point of “intentional” technology use that prepares our students for their future while maintaining the strength of face-to-face and analog learning. Intentional technology use is hard. Hard things are hard. And, we are committed to getting this hard thing right.